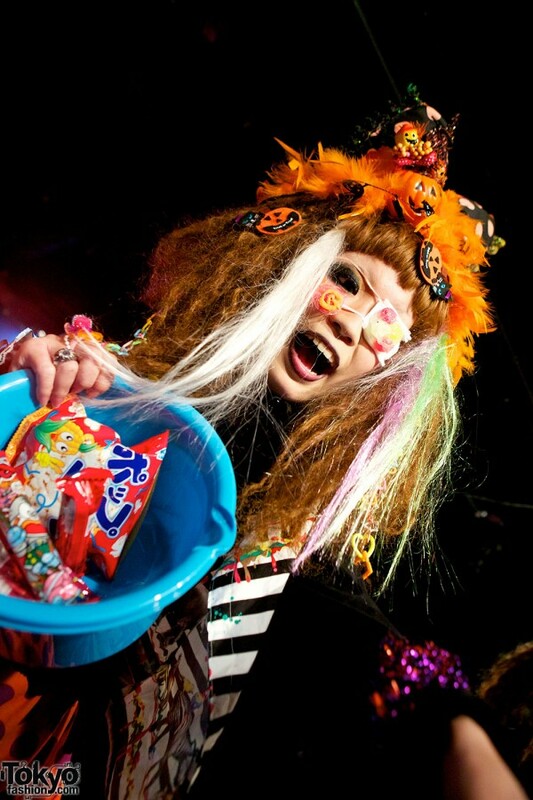 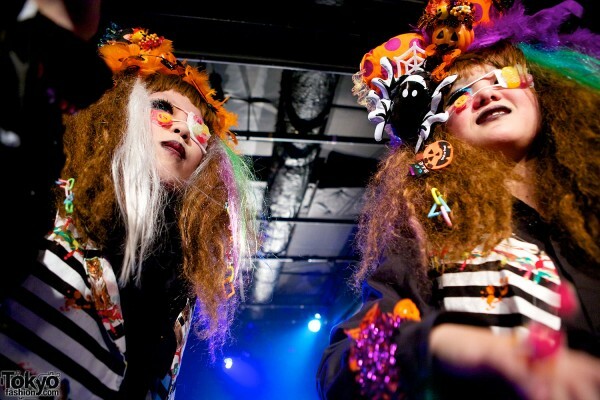 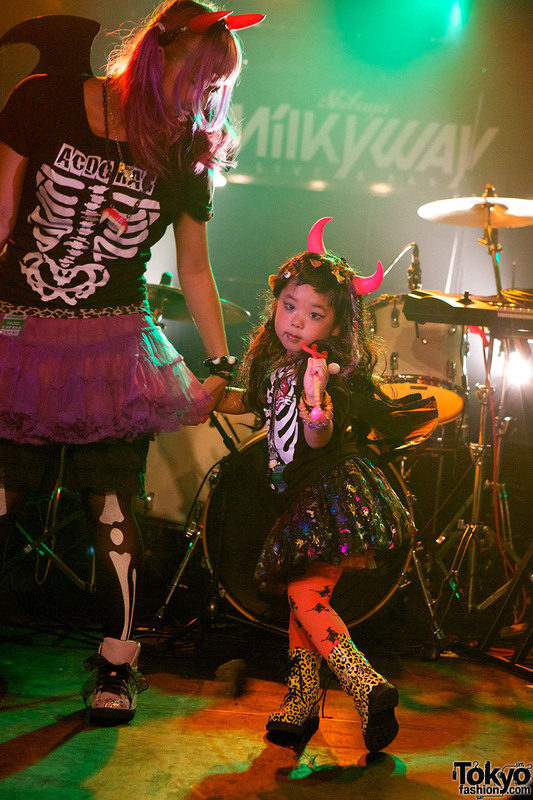 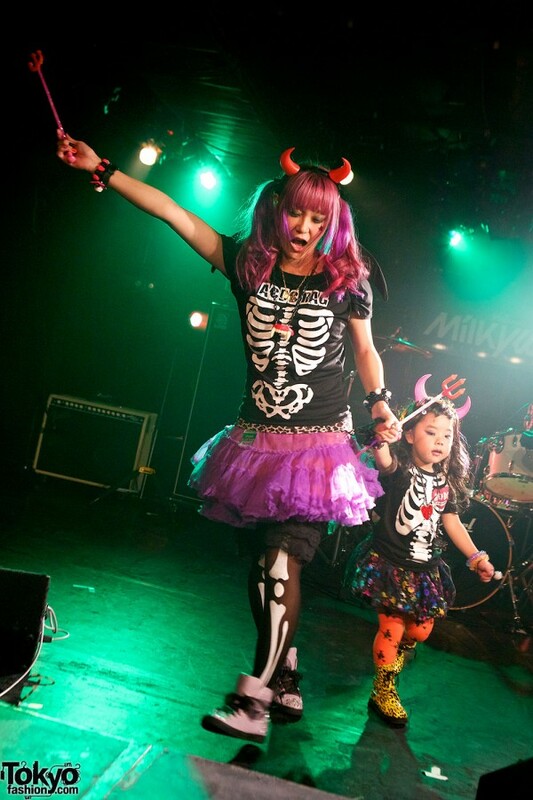 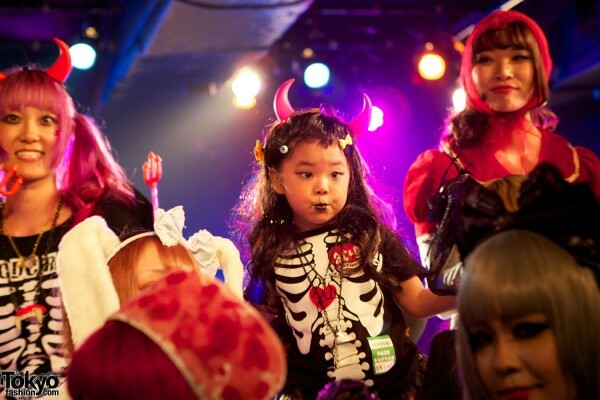 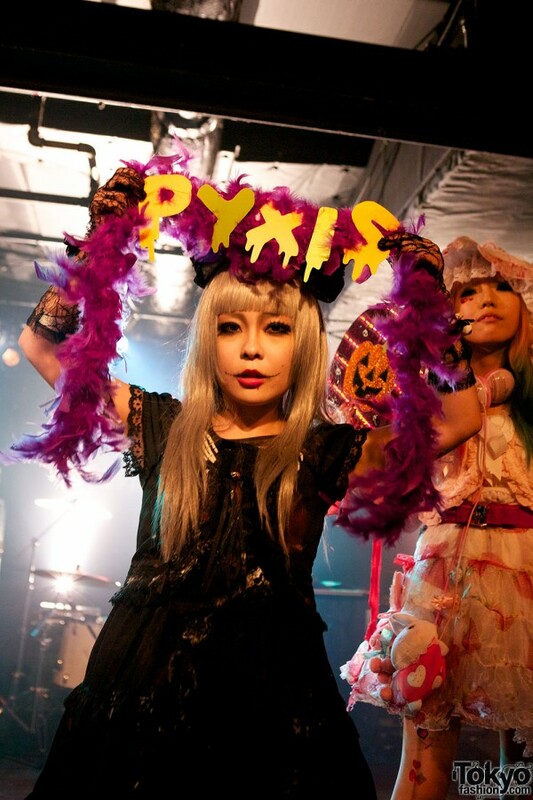 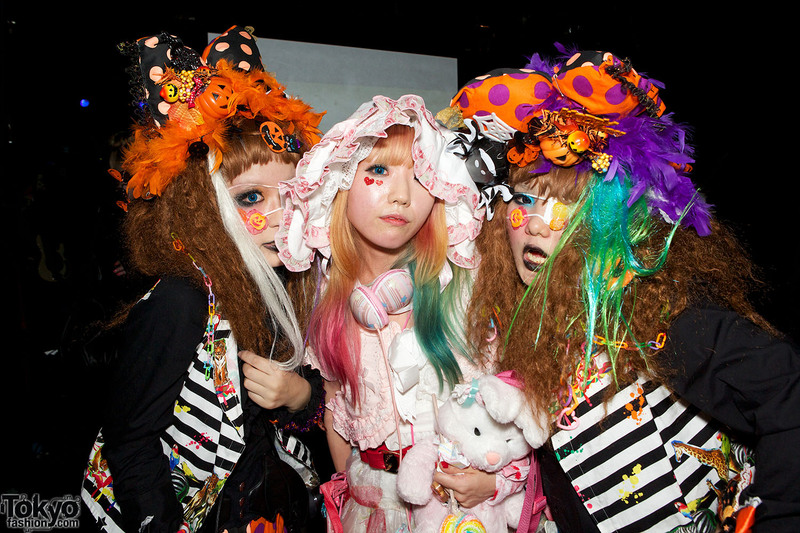 Everyday may be Halloween in Harajuku, but that doesn’t stop the Harajuku Kids from celebrating the real Hallows’ Eve. 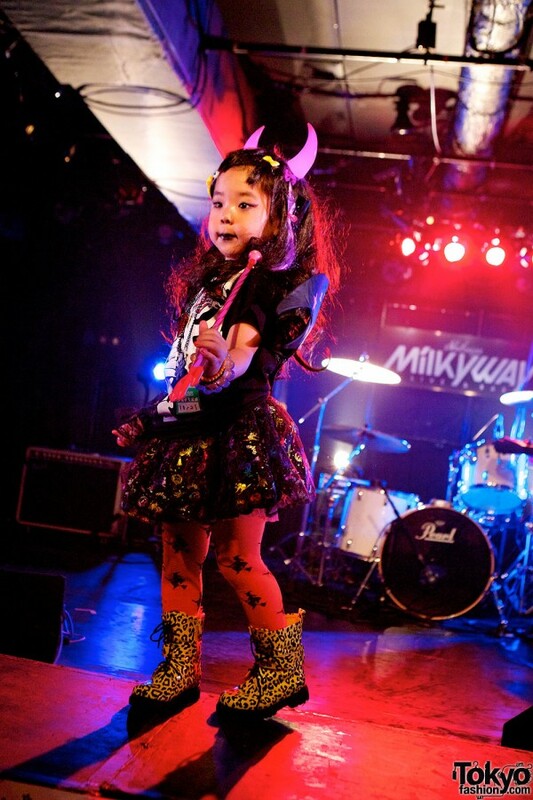 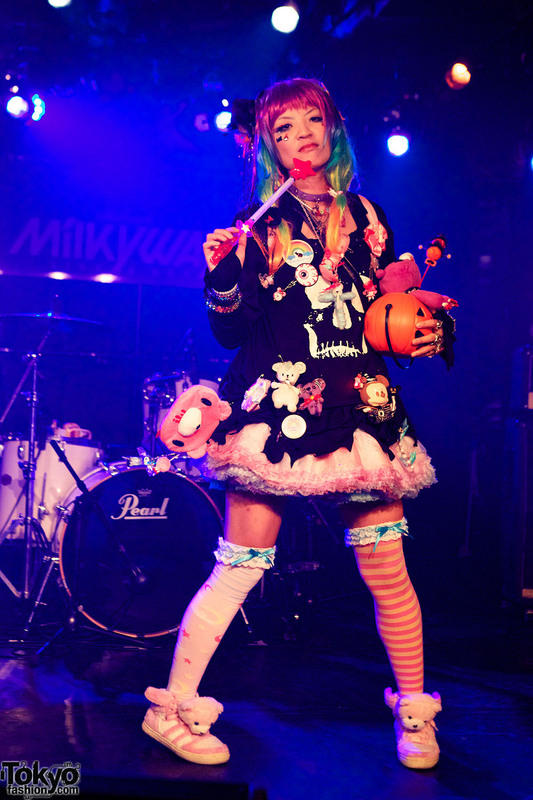 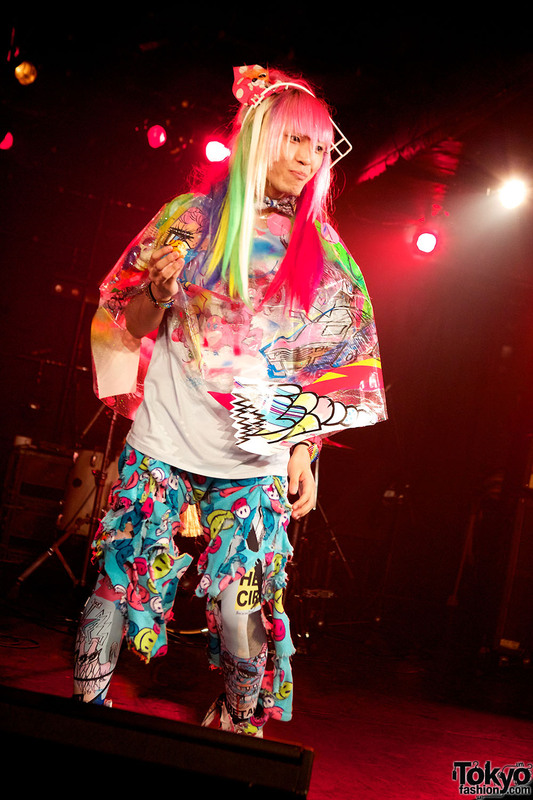 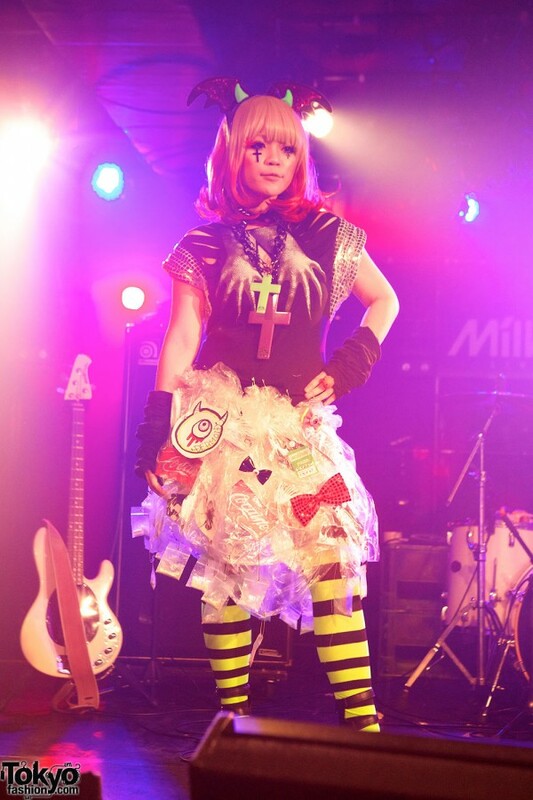 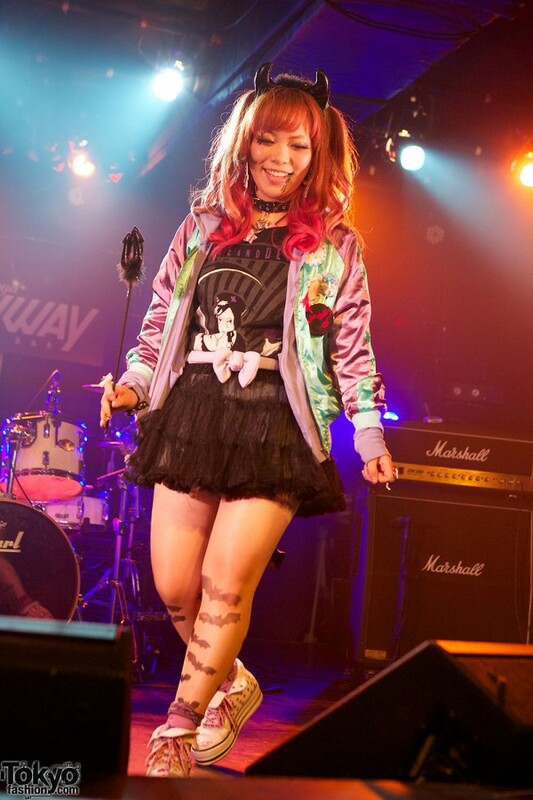 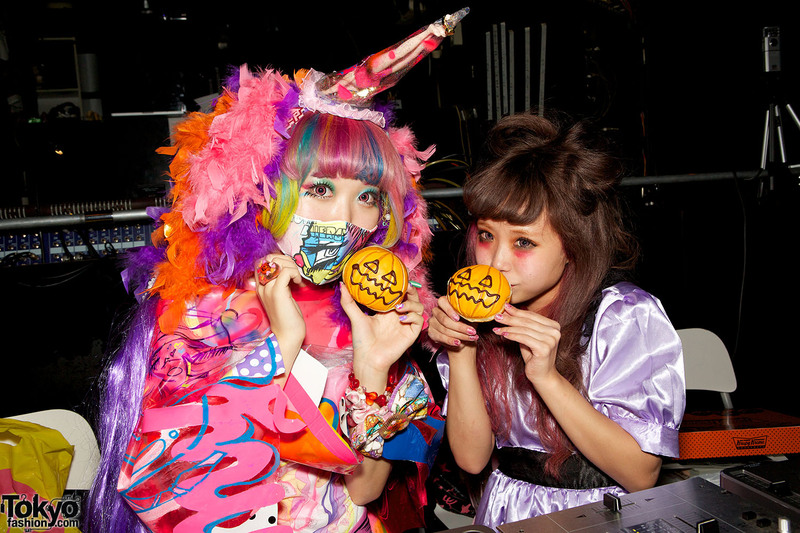 This weekend, the Harajuku Fashion Walk crew gathered for their second annual Pop N Cute Halloween Party at club Milky Way in Shibuya. 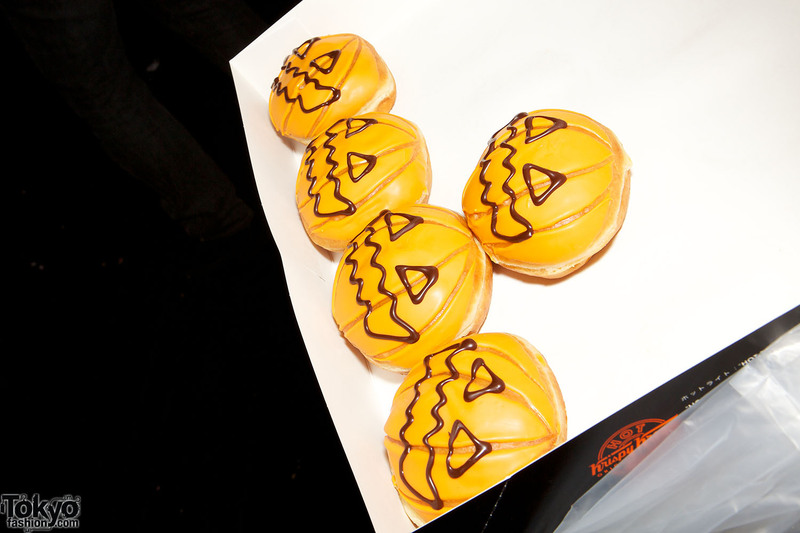 After attending last year’s spooky holiday event, we had no doubt that this was going to be a good time not to be missed! 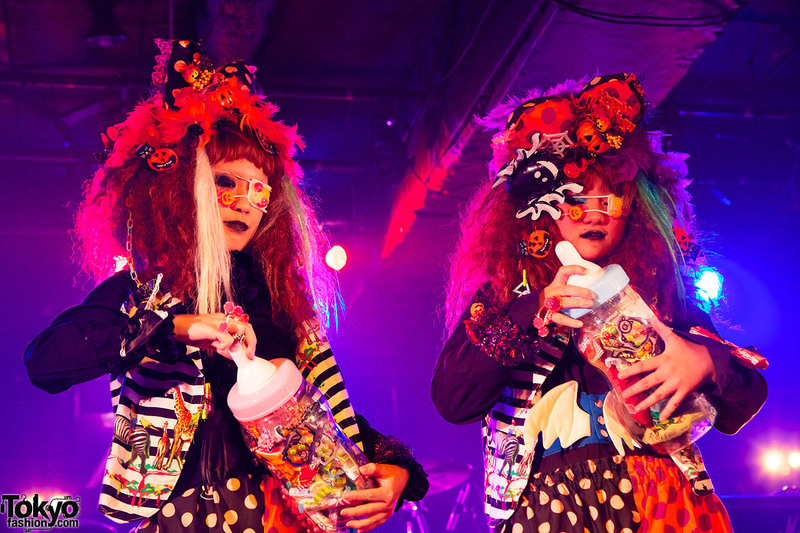 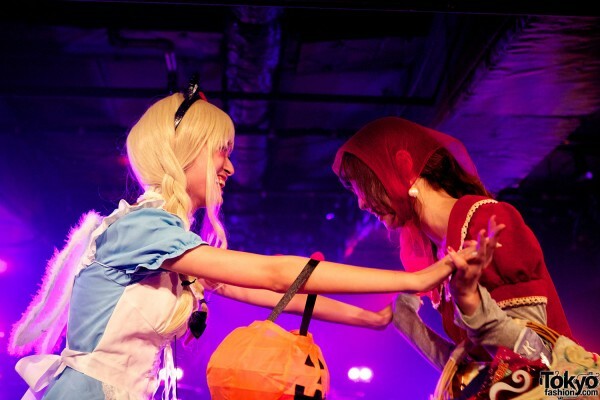 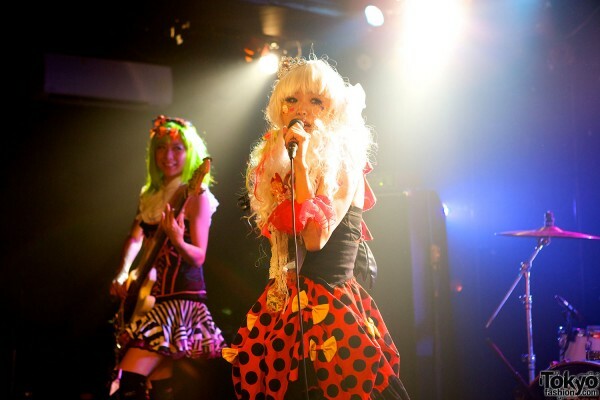 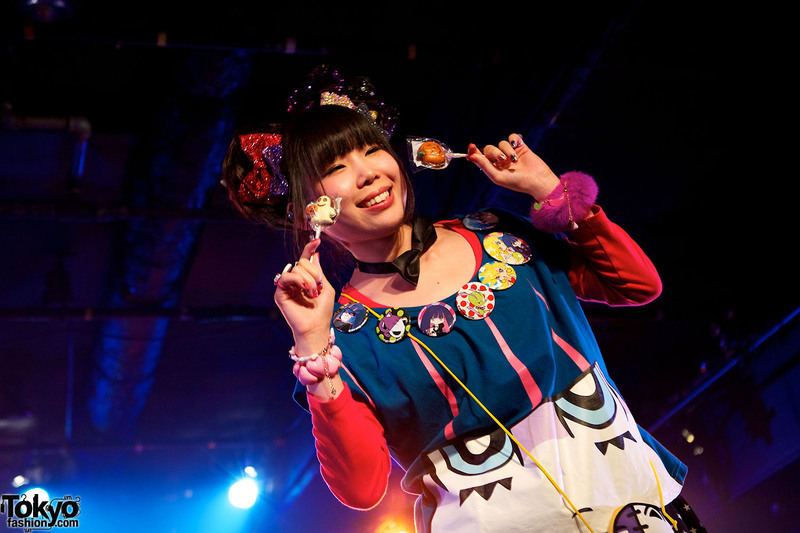 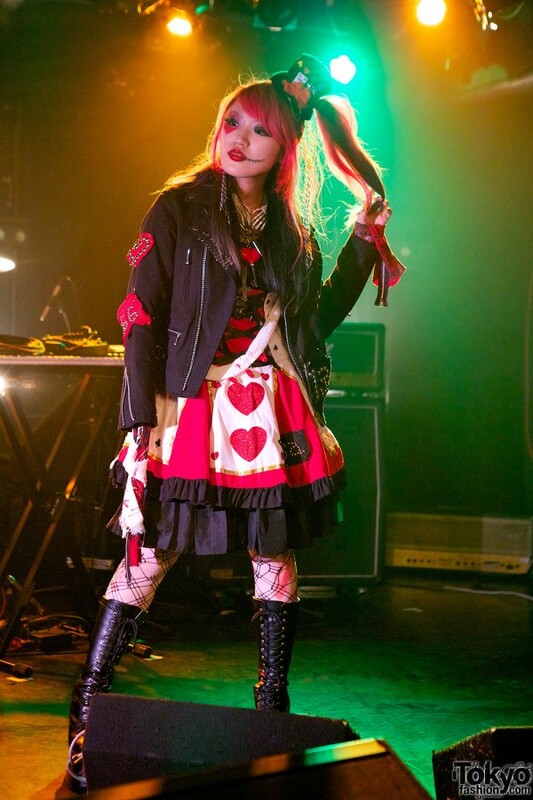 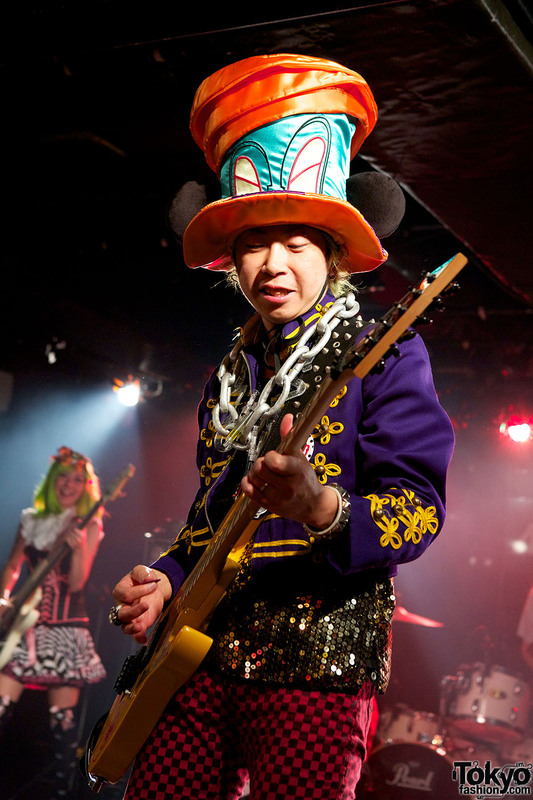 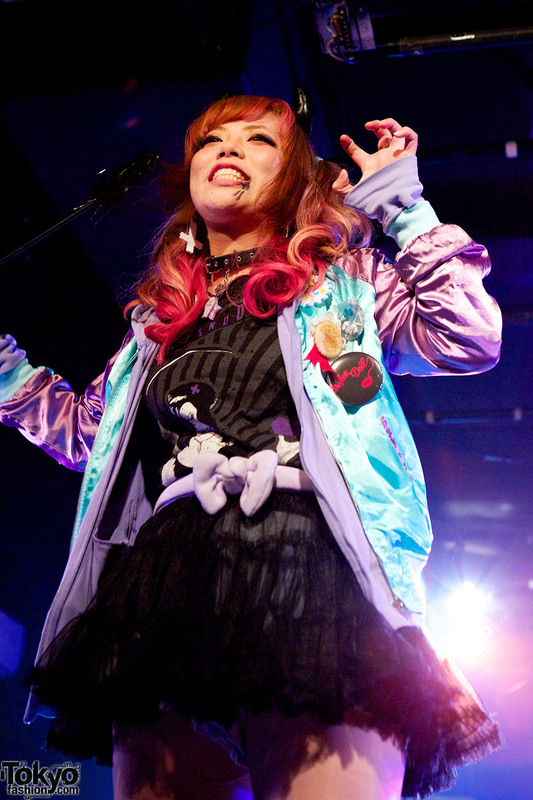 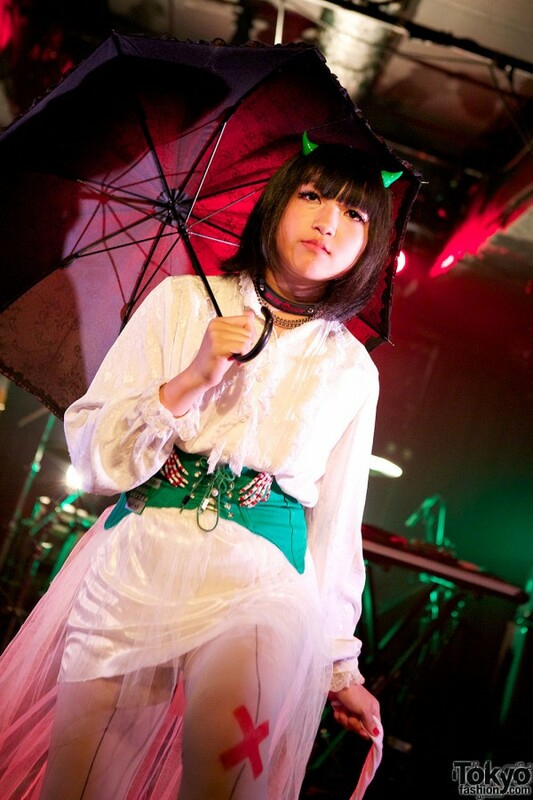 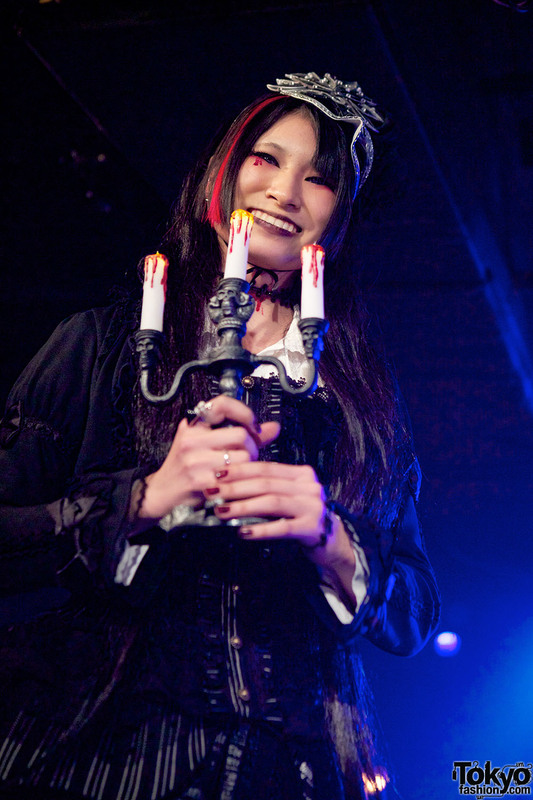 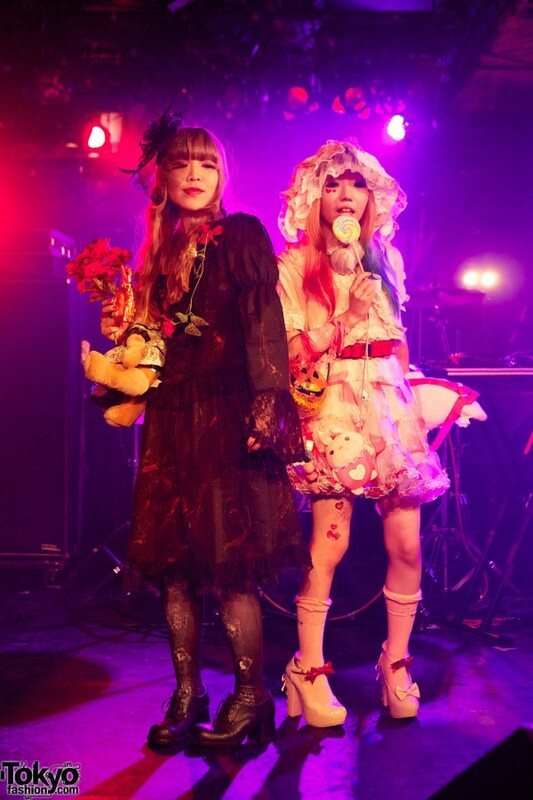 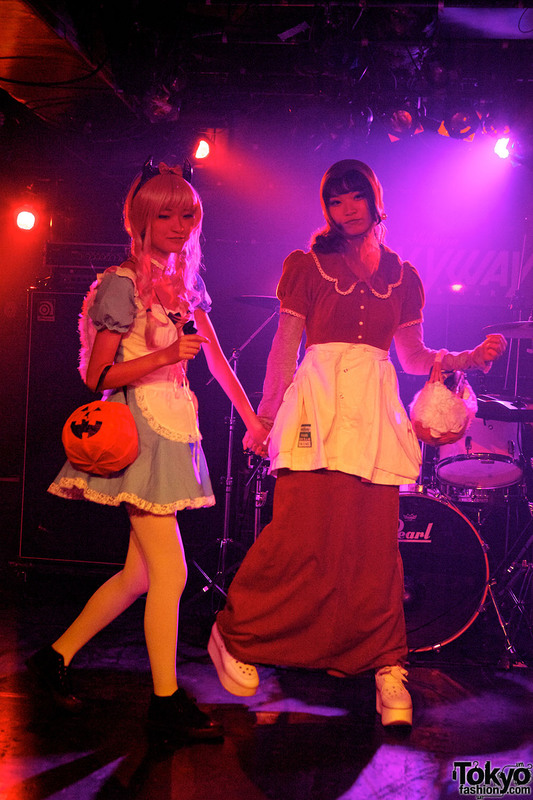 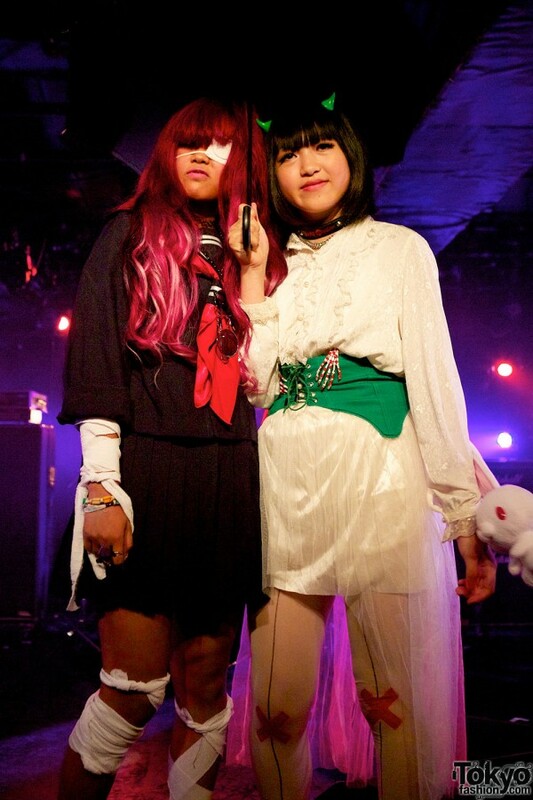 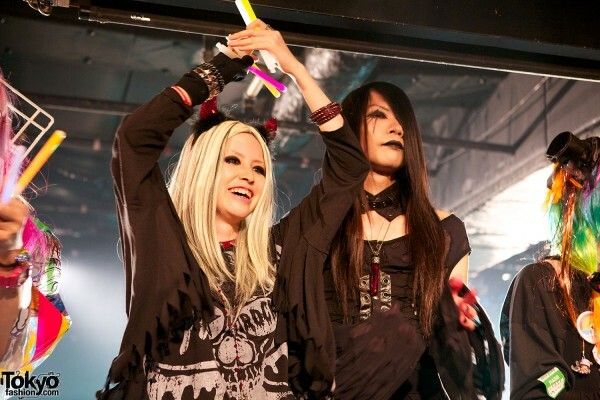 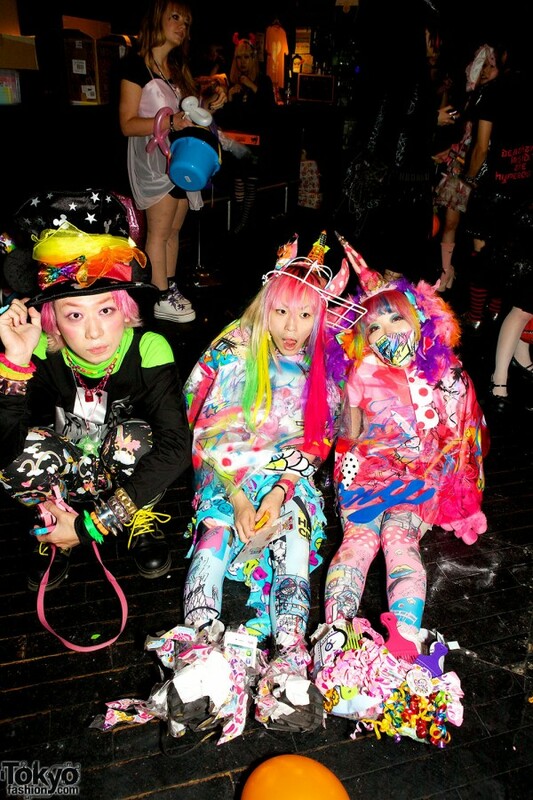 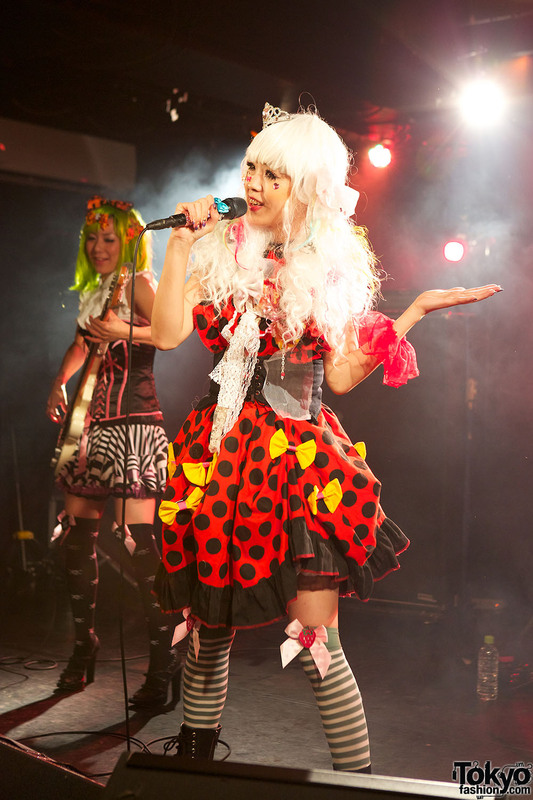 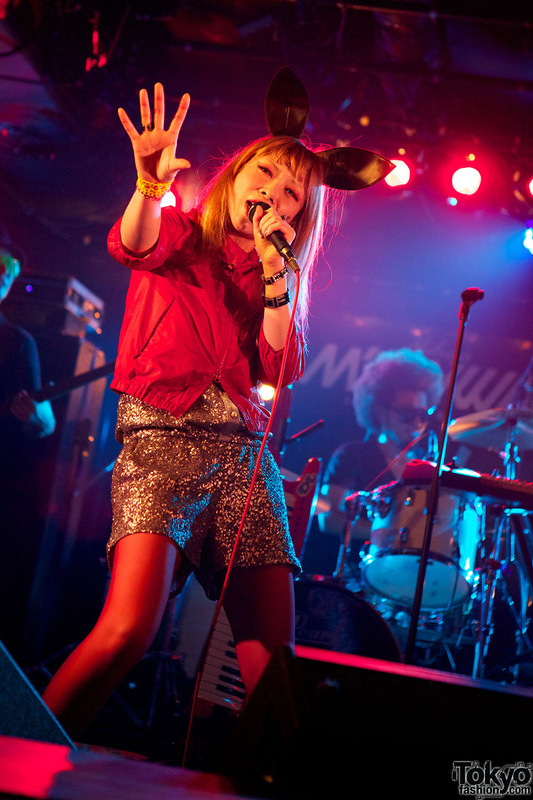 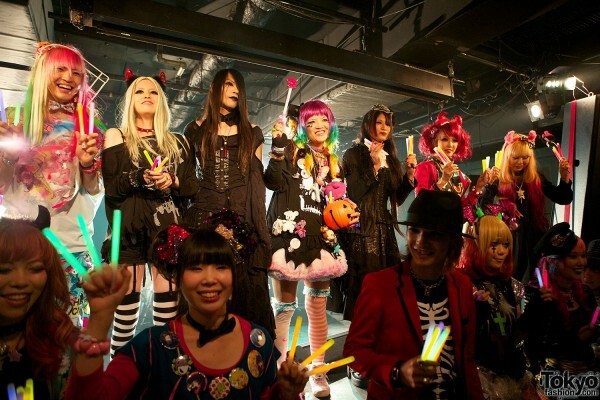 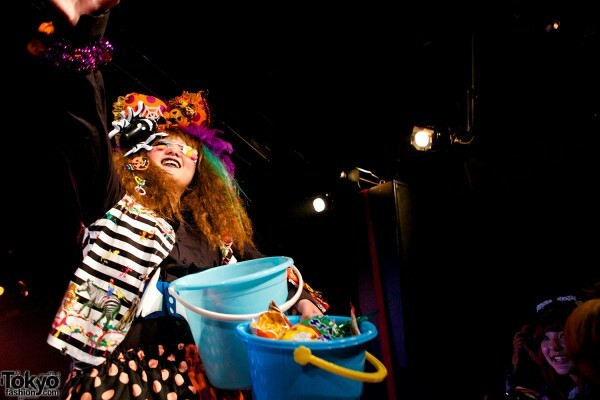 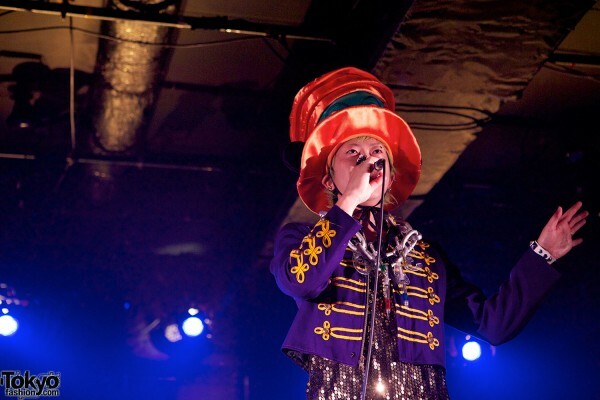 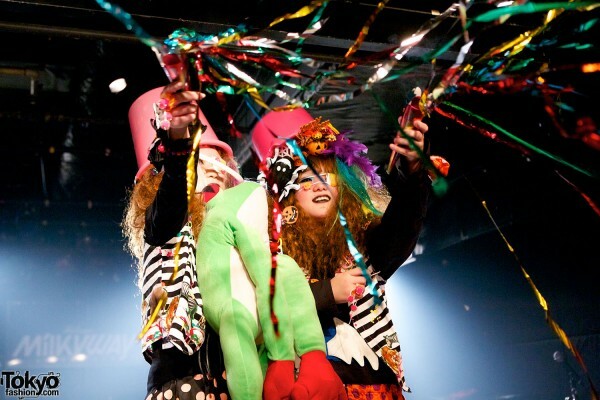 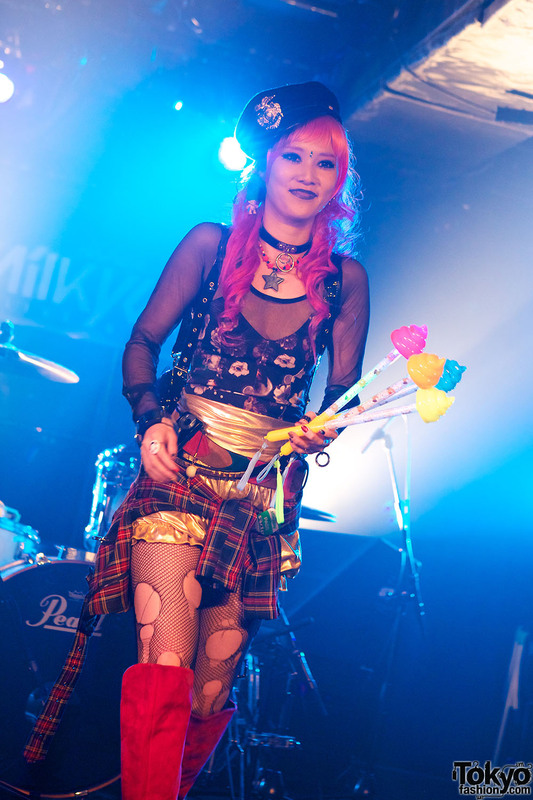 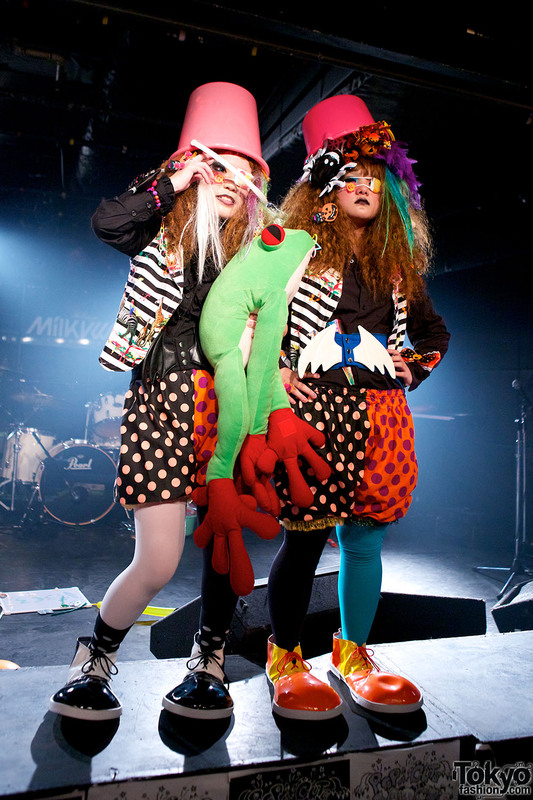 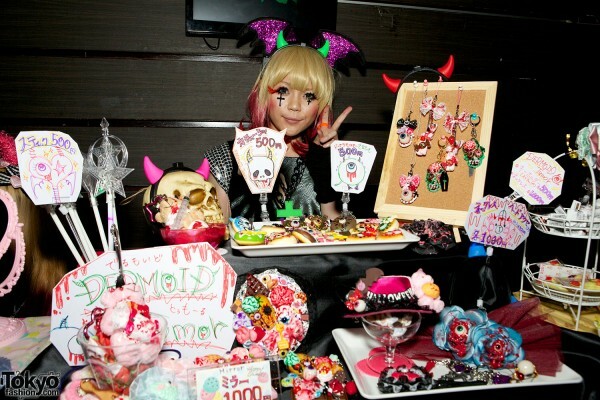 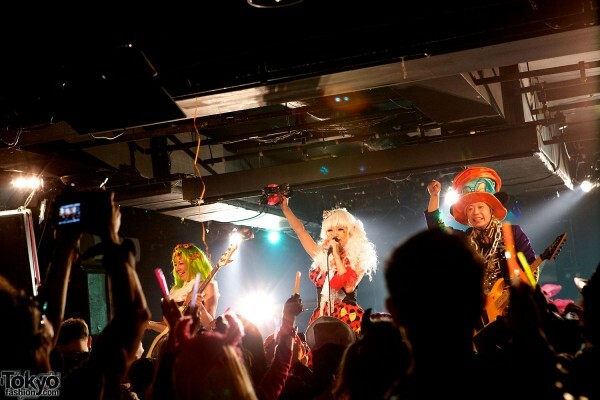 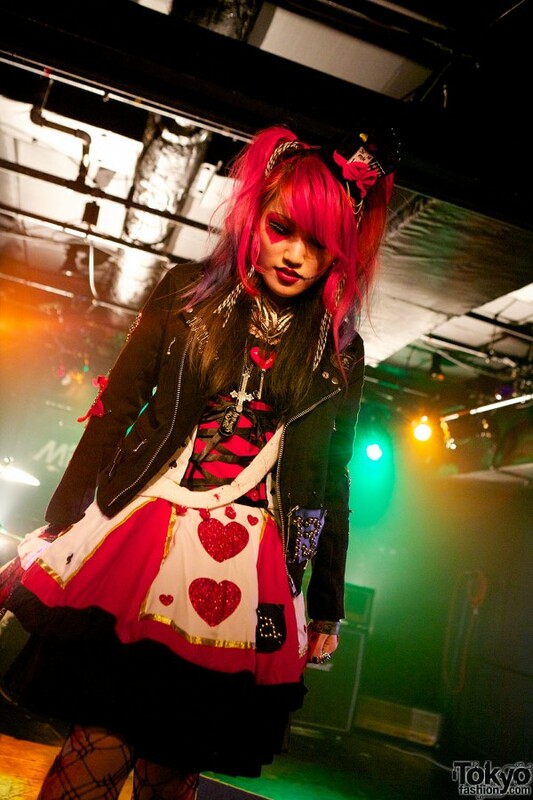 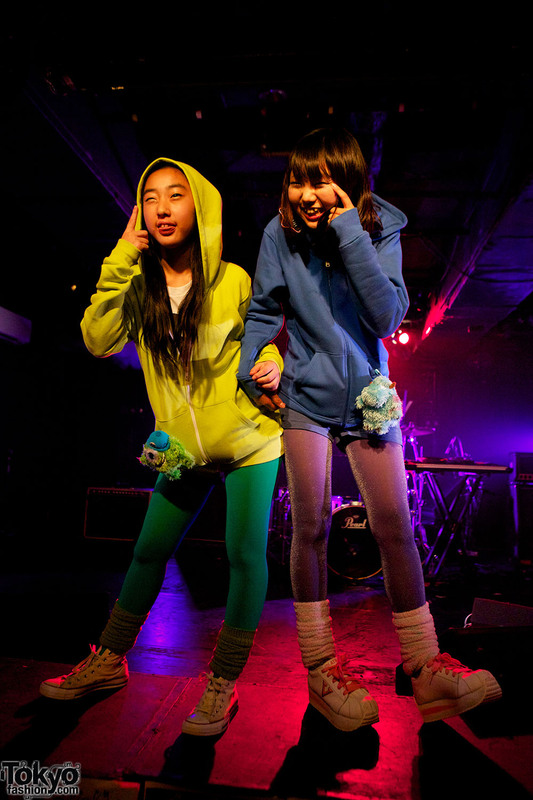 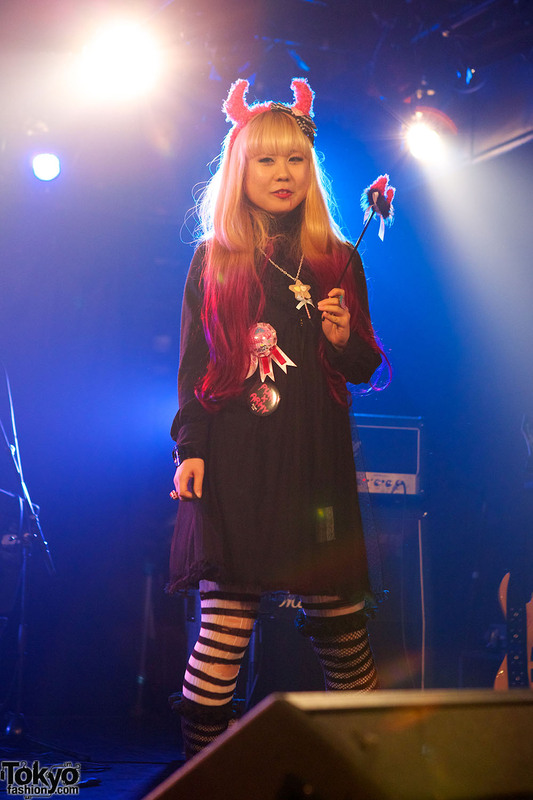 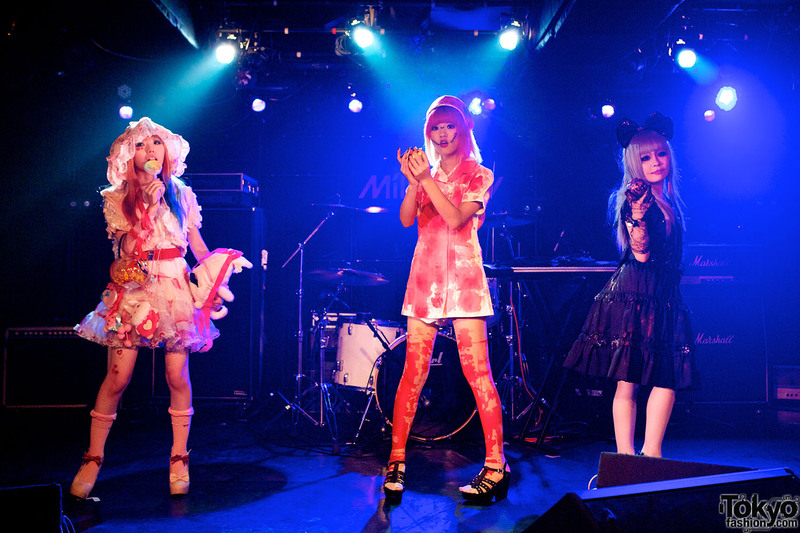 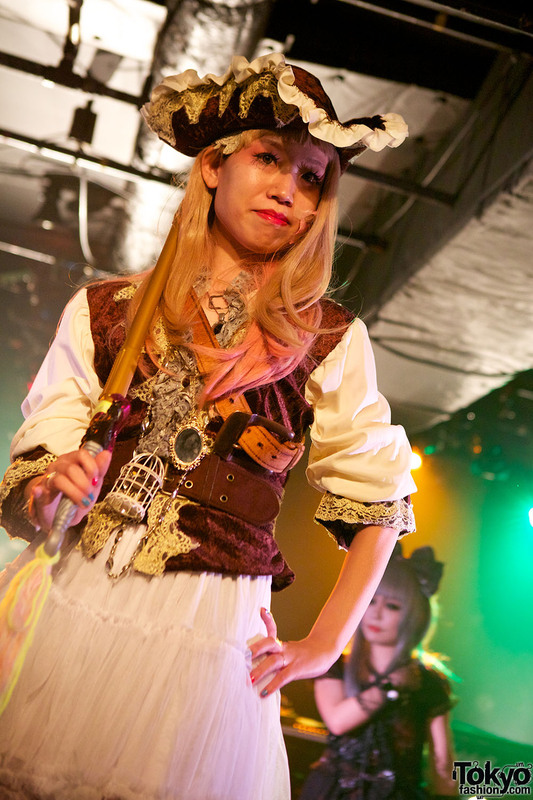 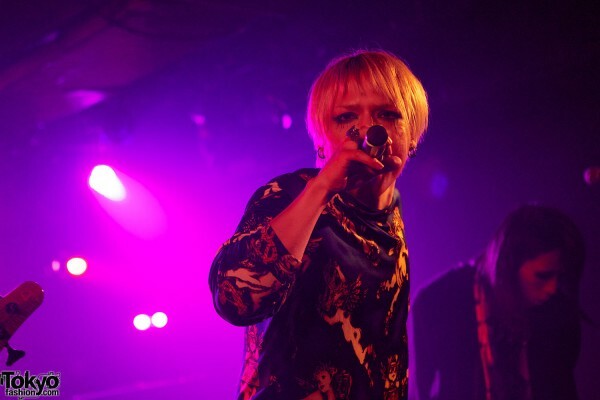 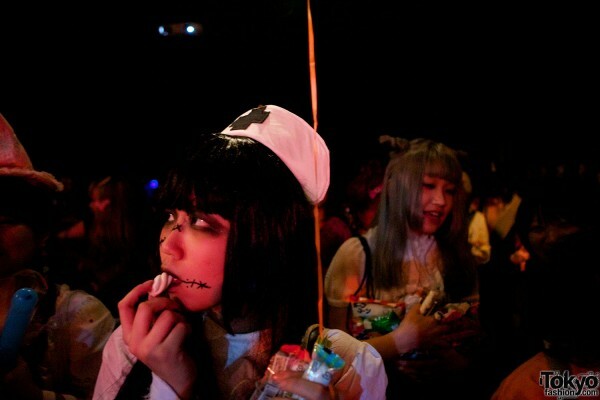 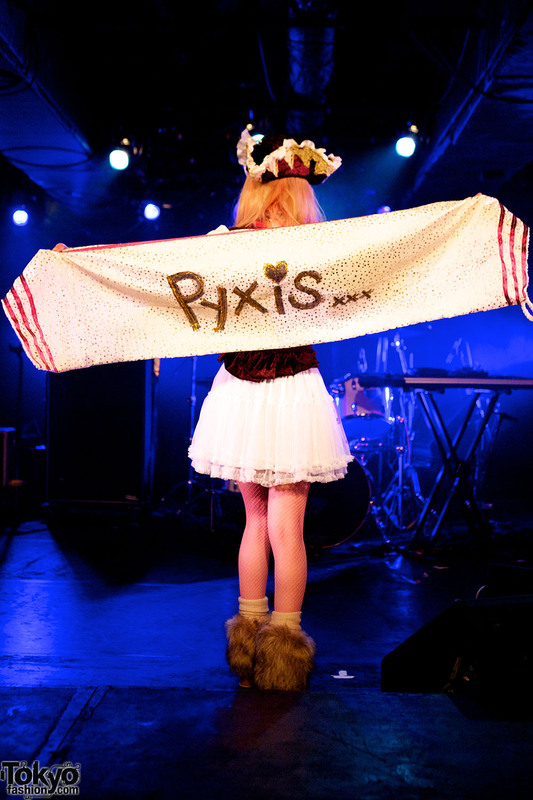 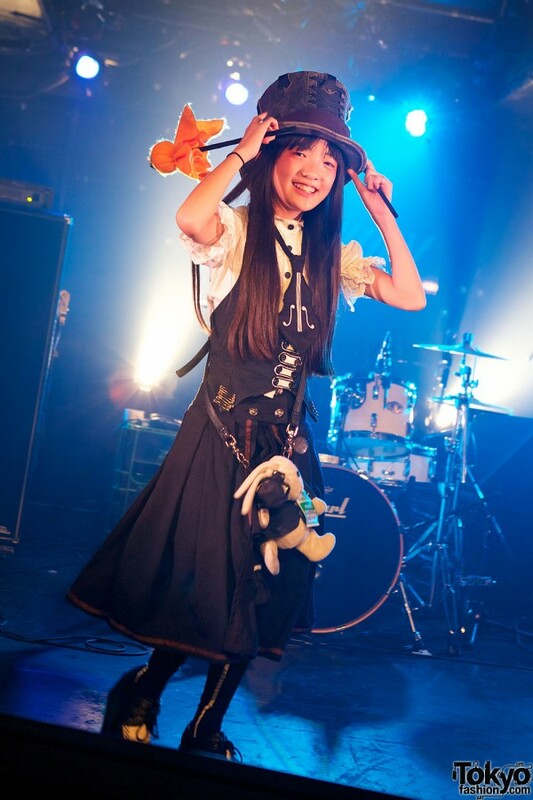 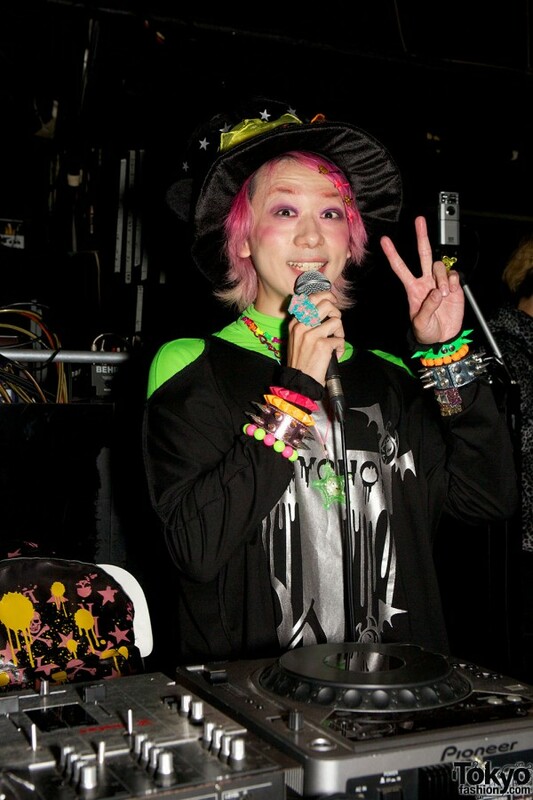 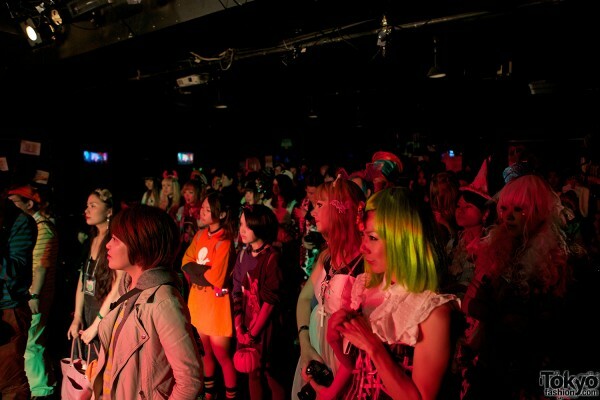 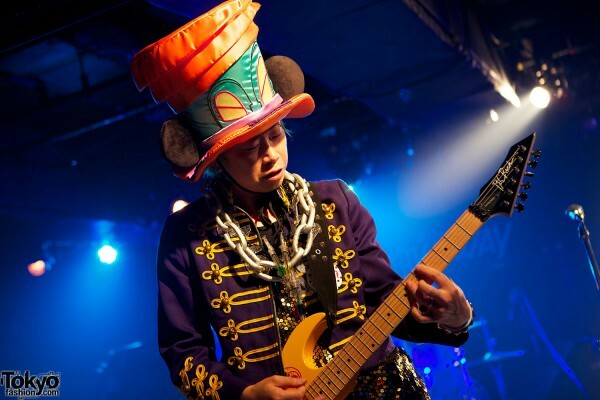 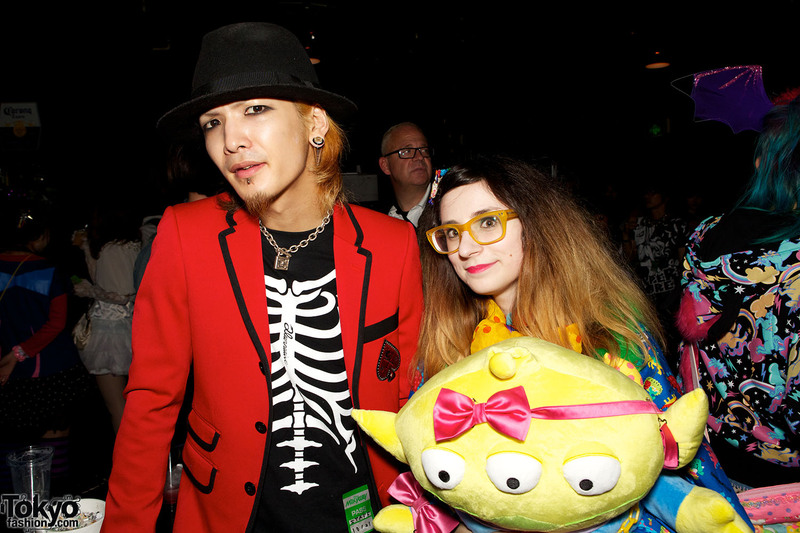 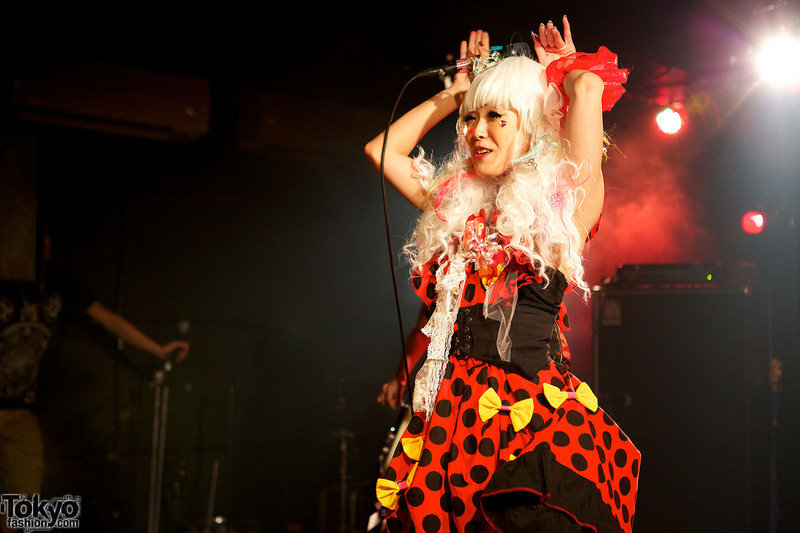 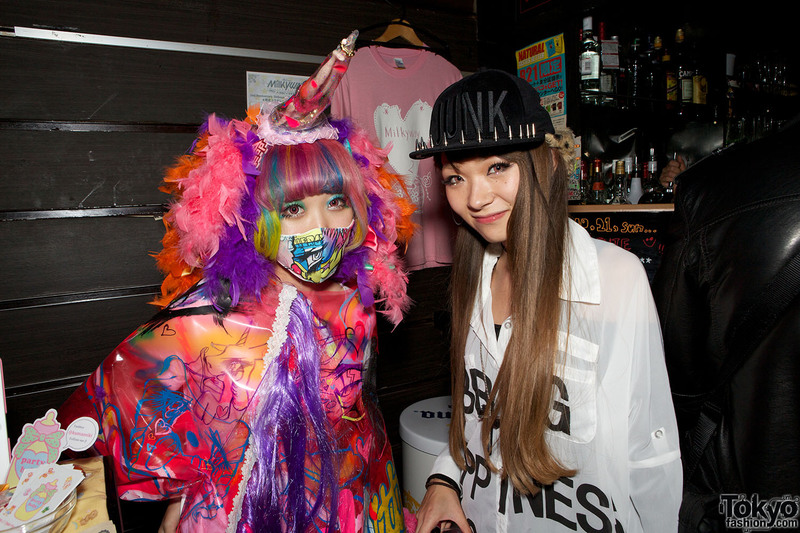 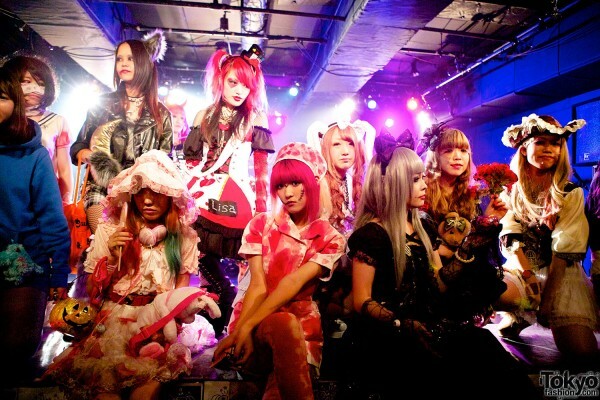 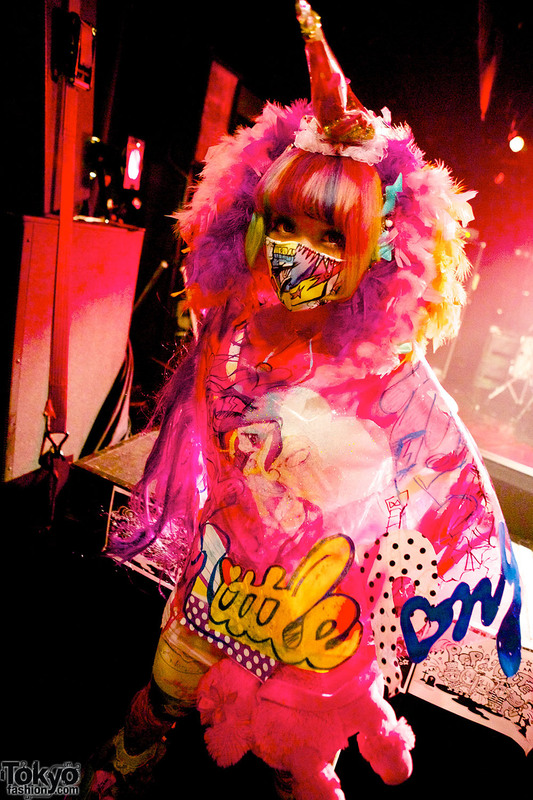 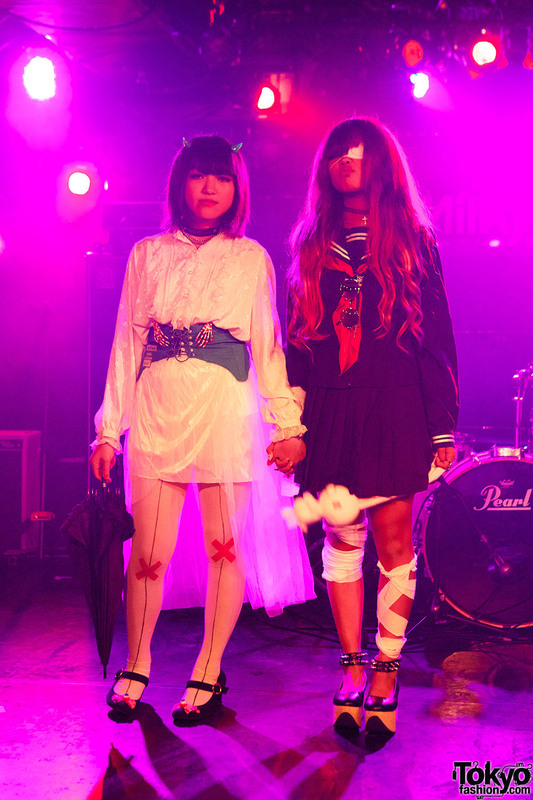 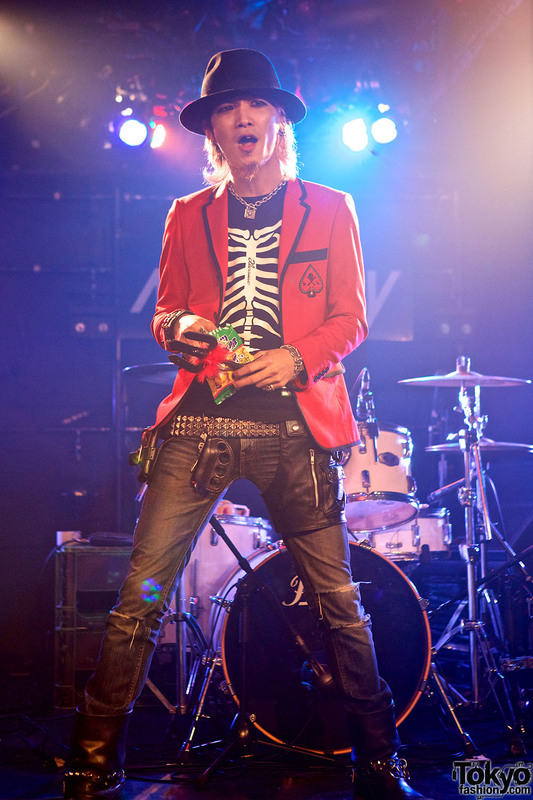 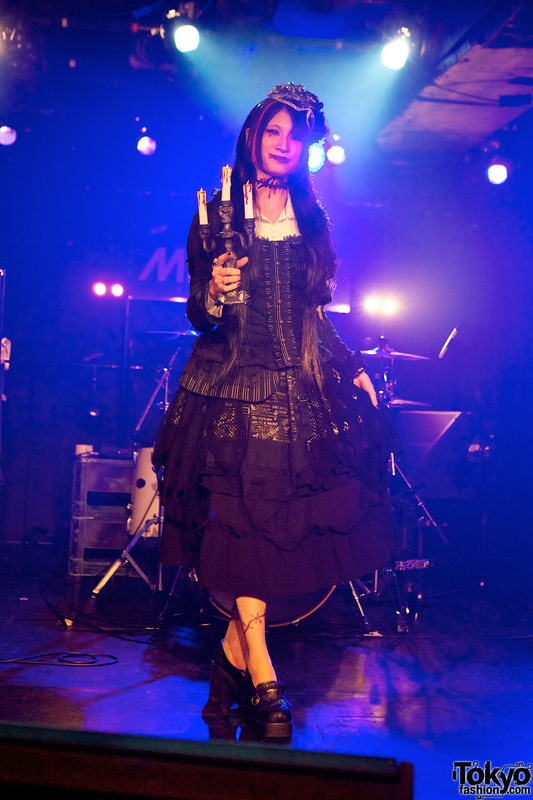 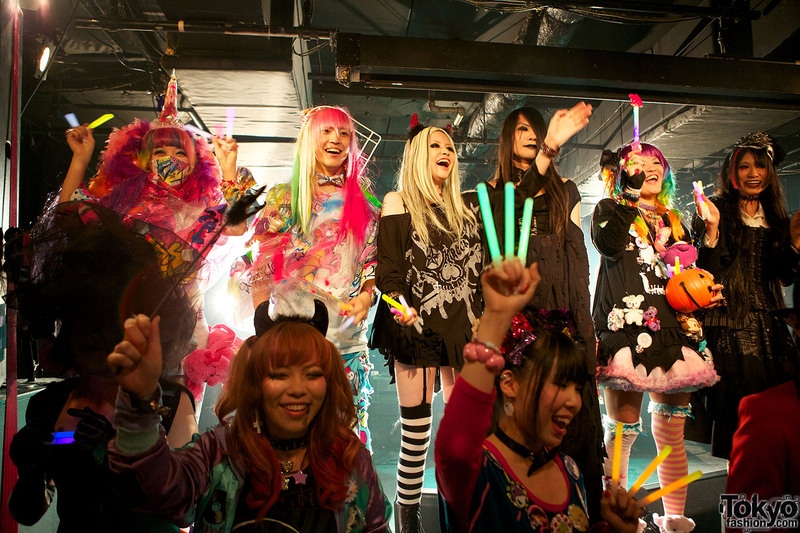 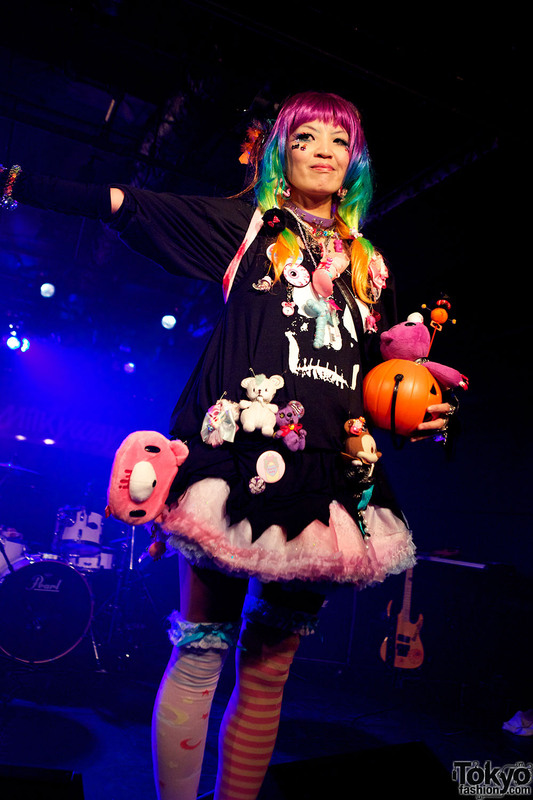 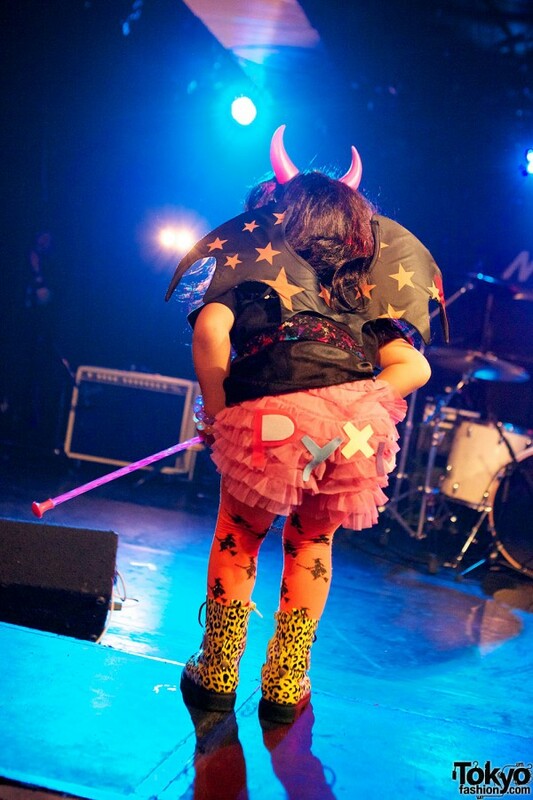 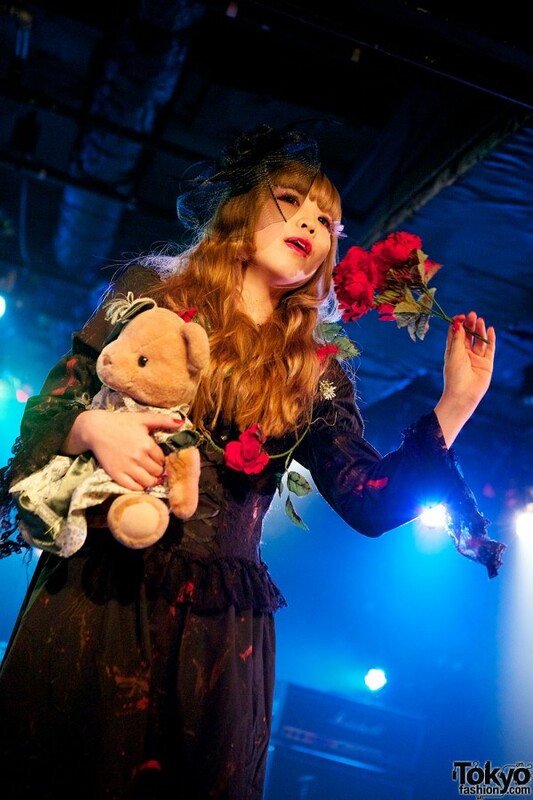 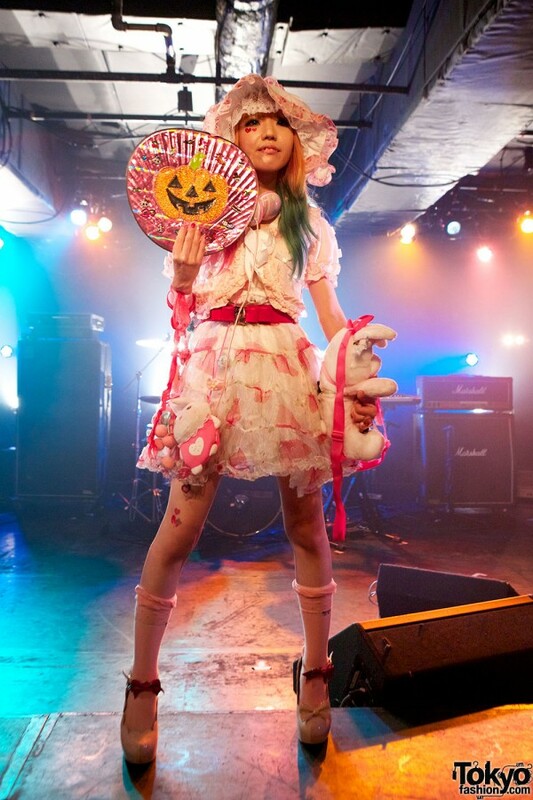 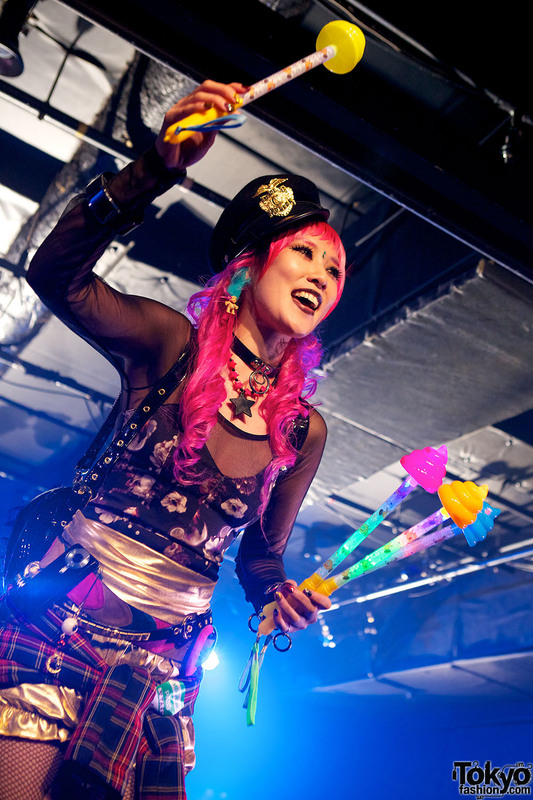 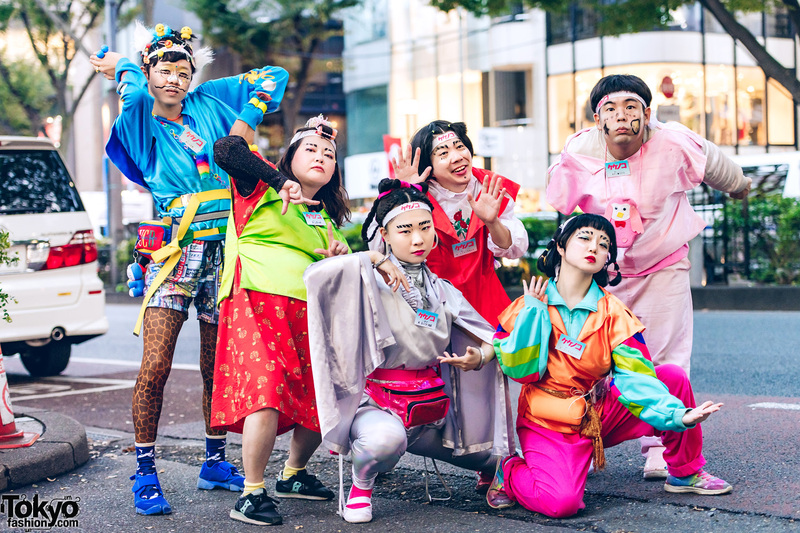 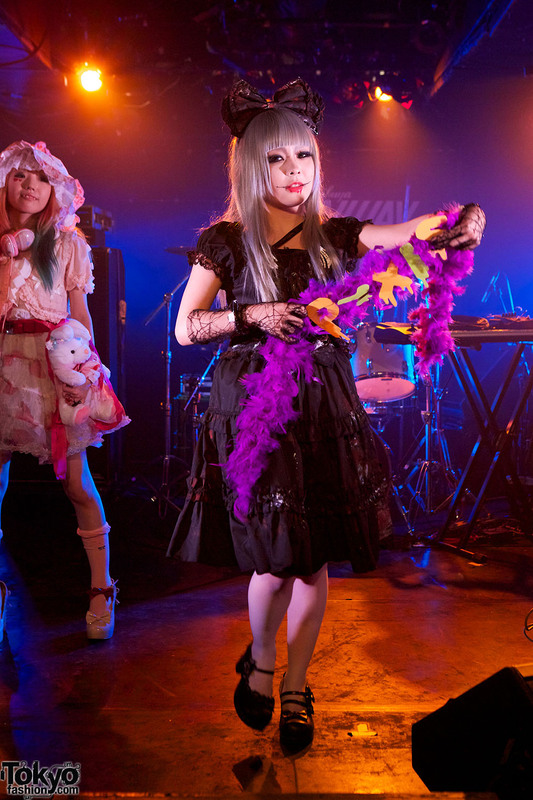 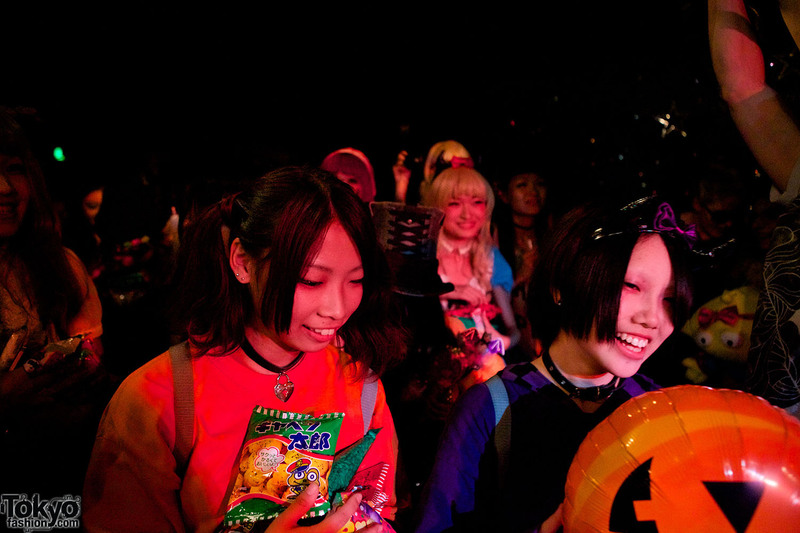 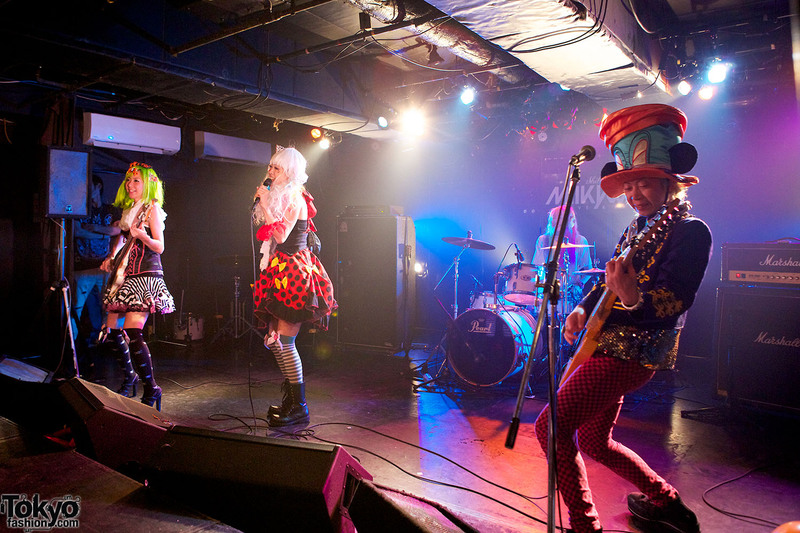 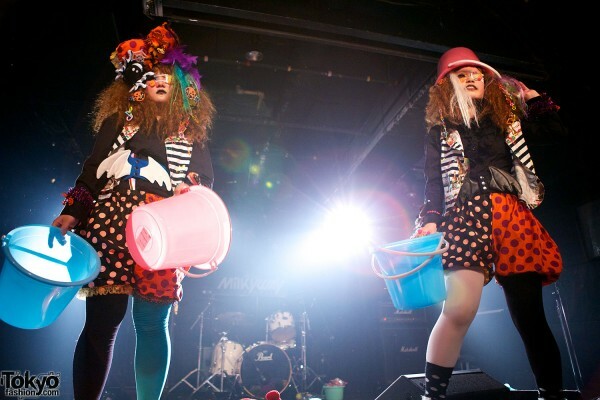 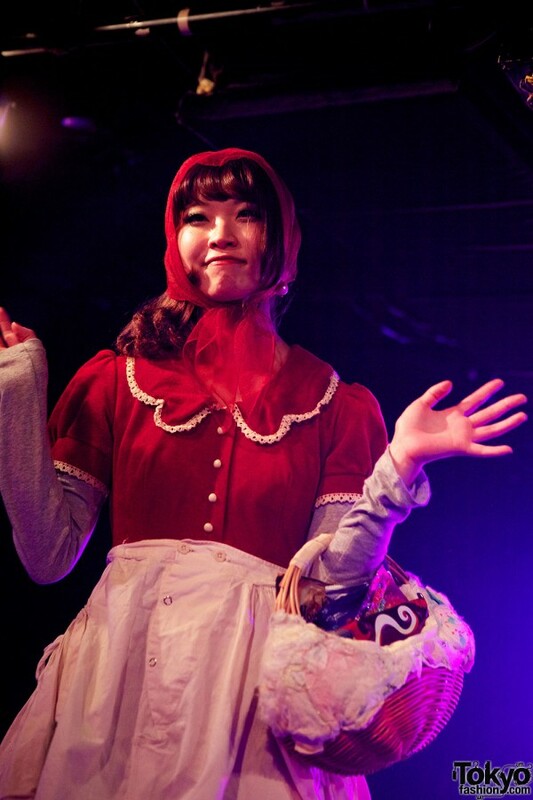 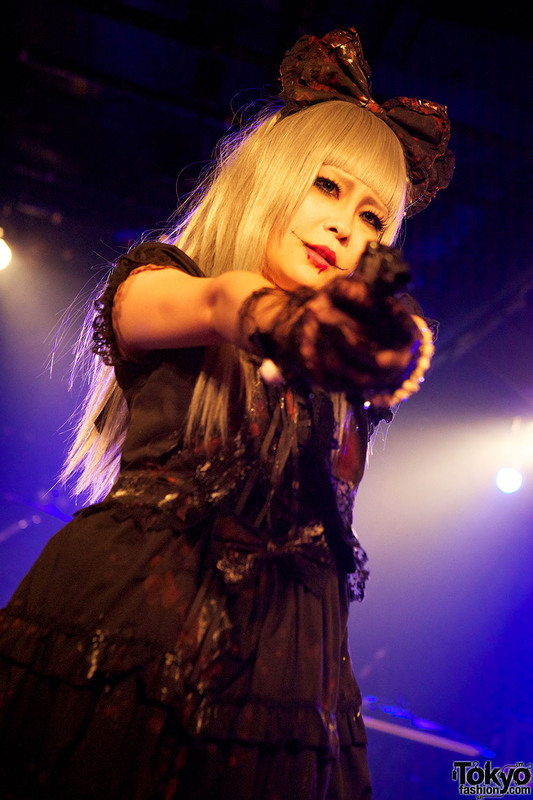 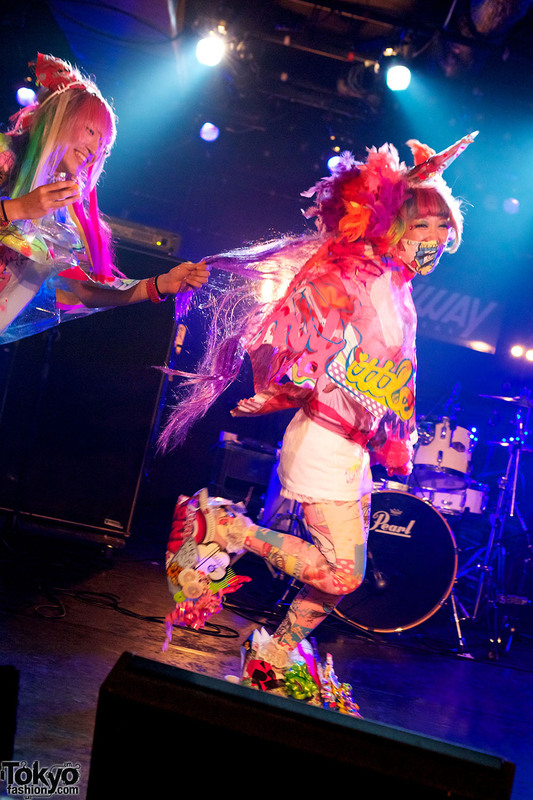 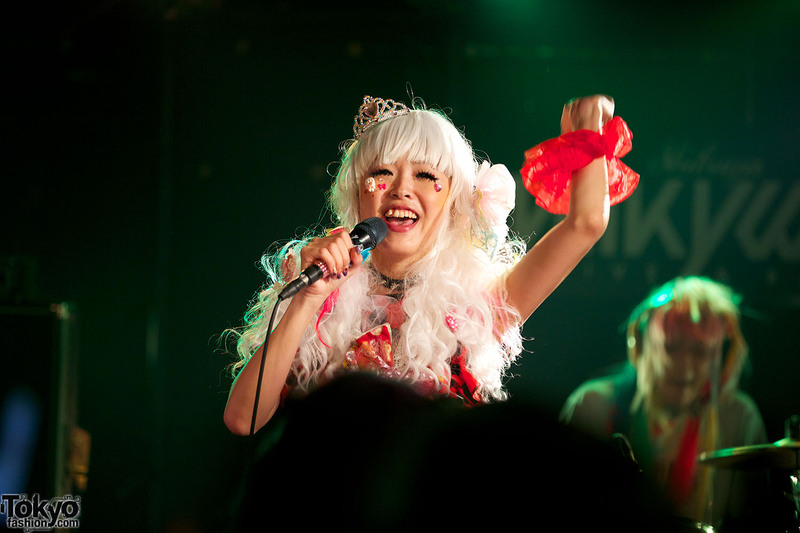 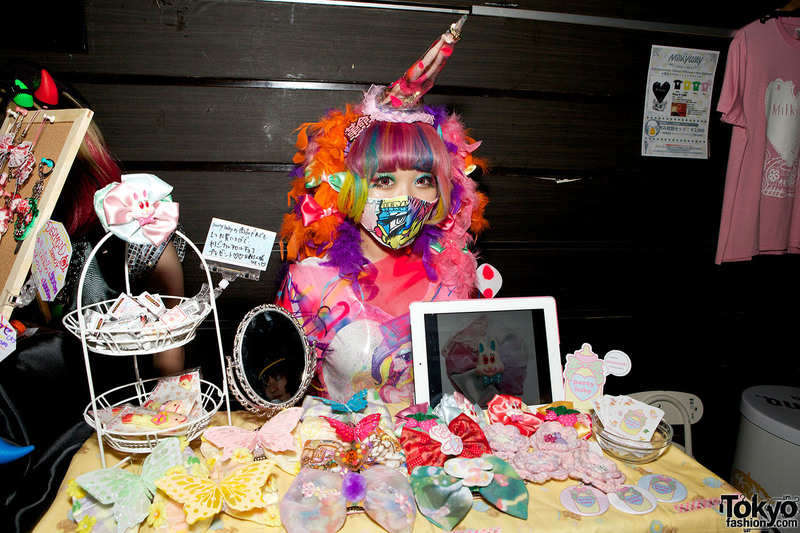 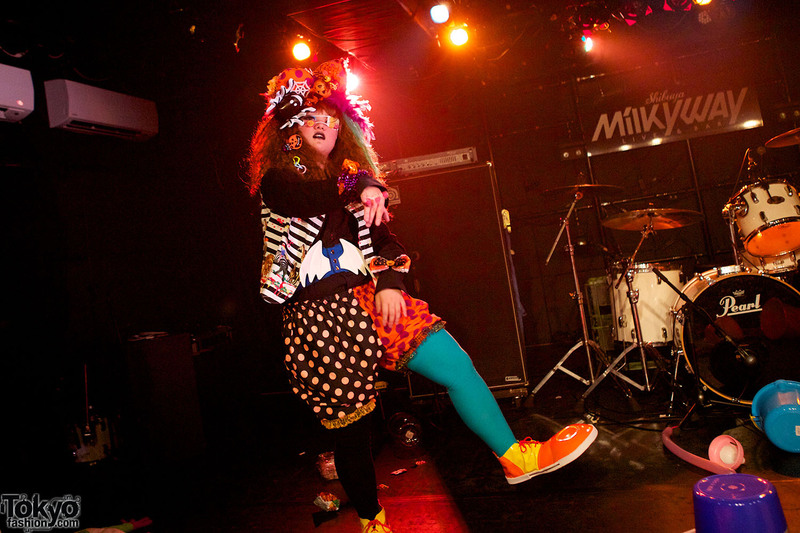 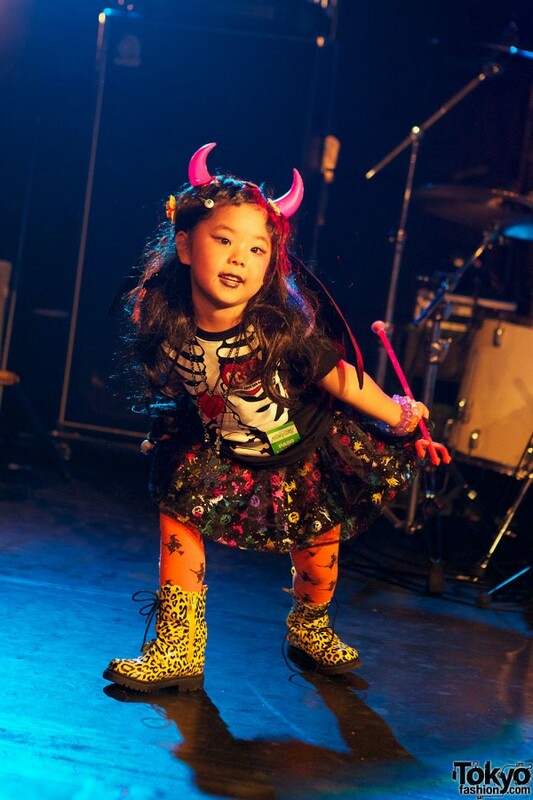 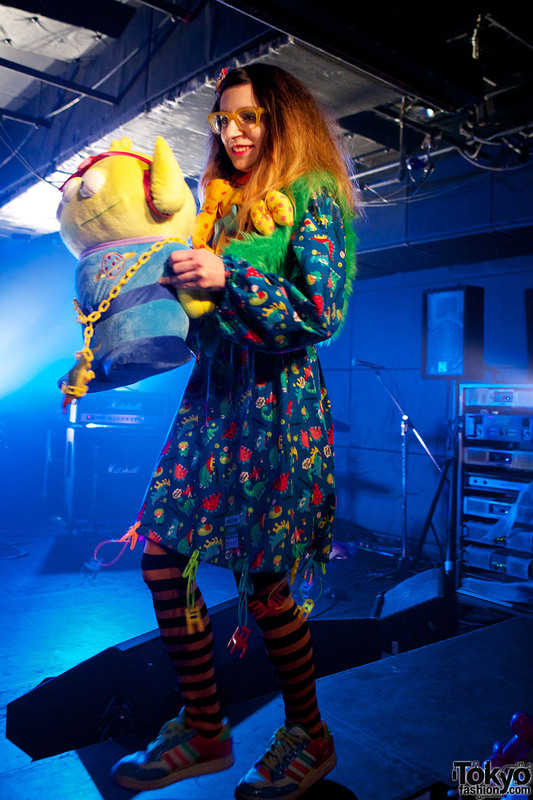 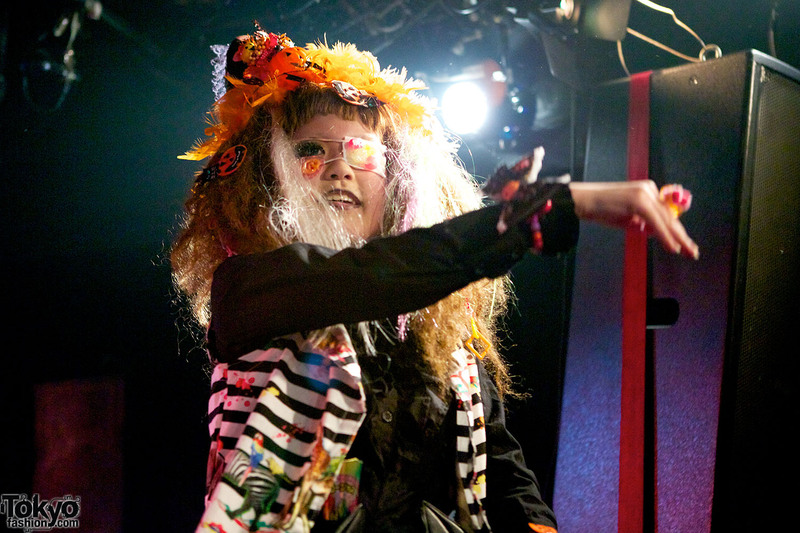 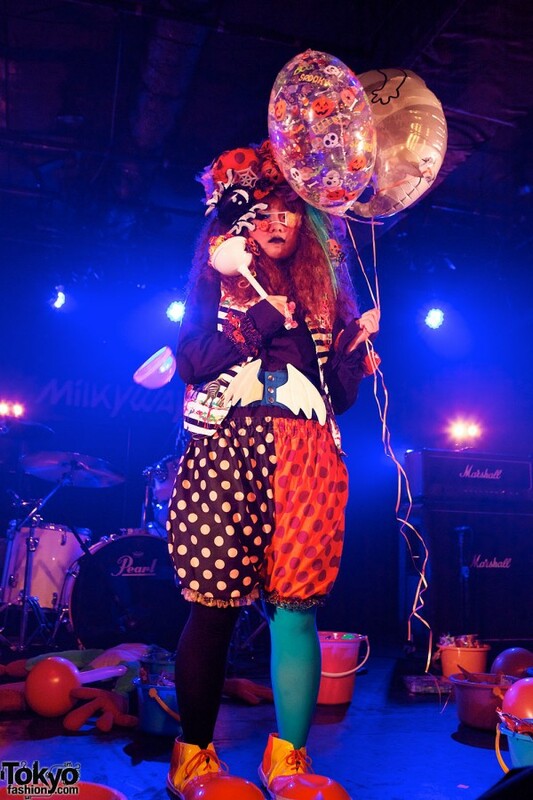 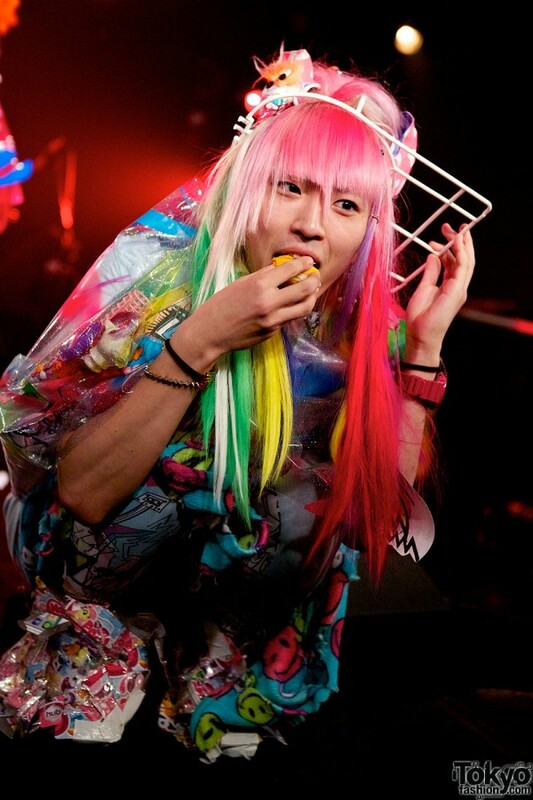 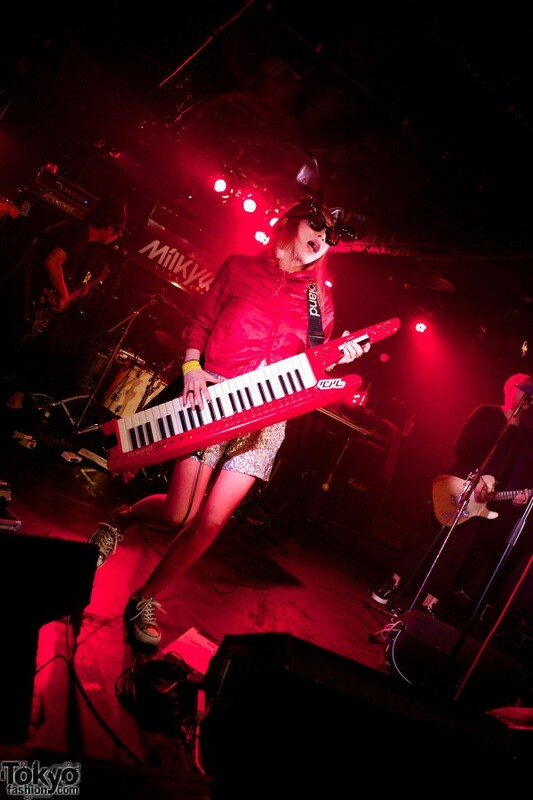 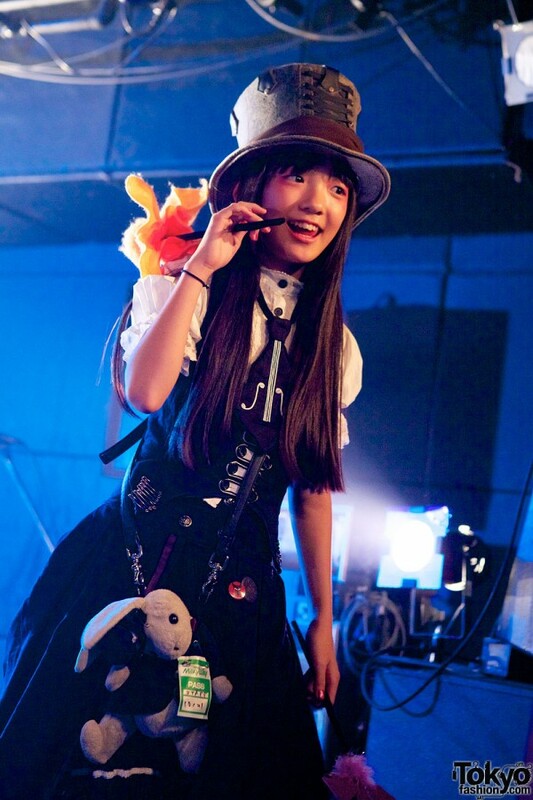 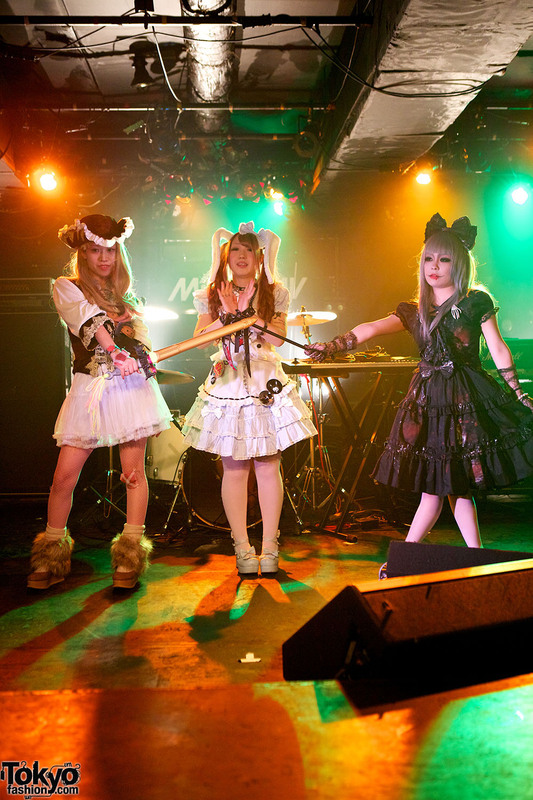 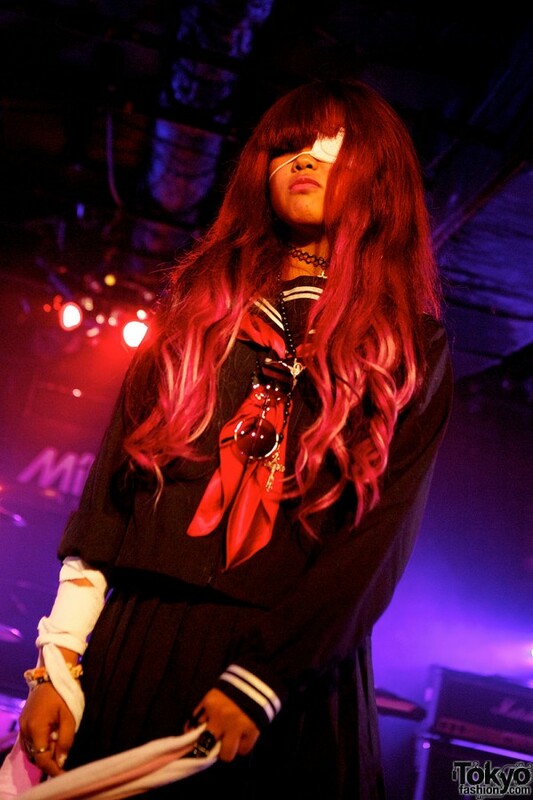 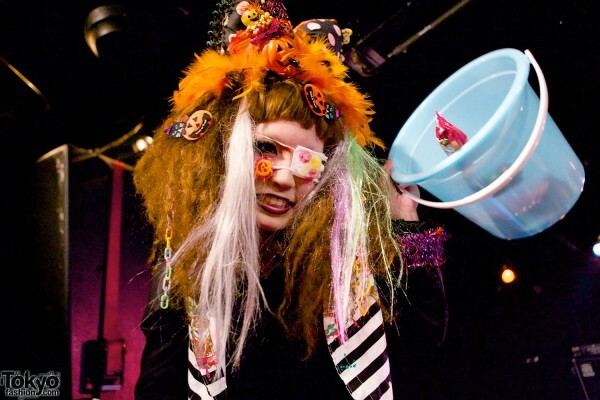 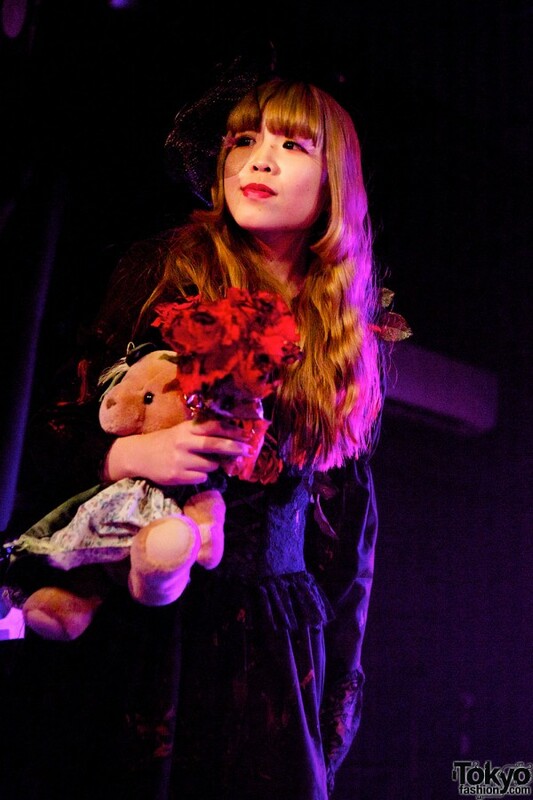 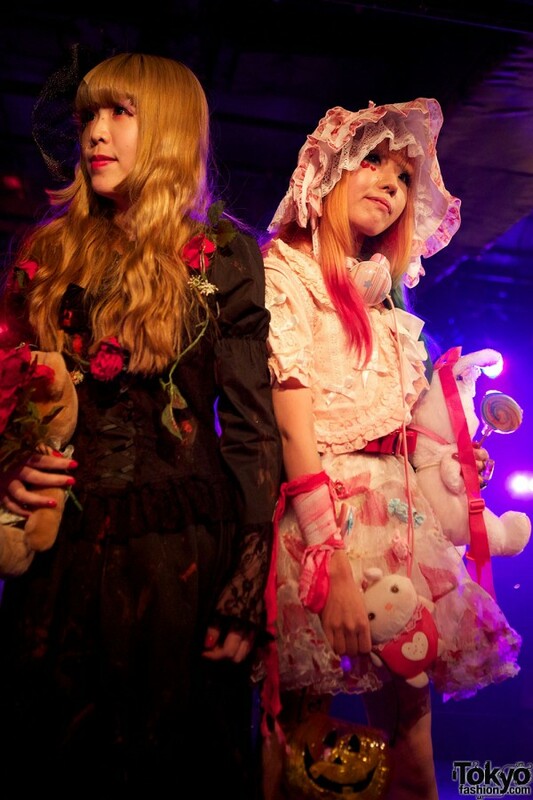 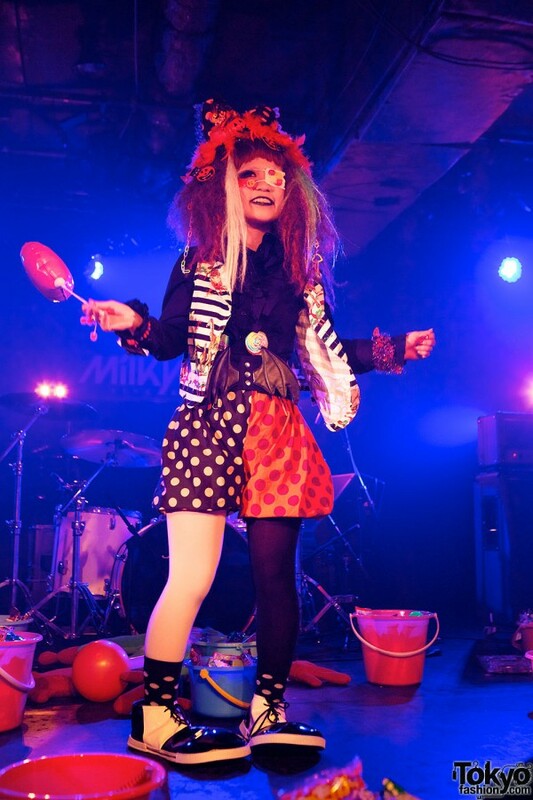 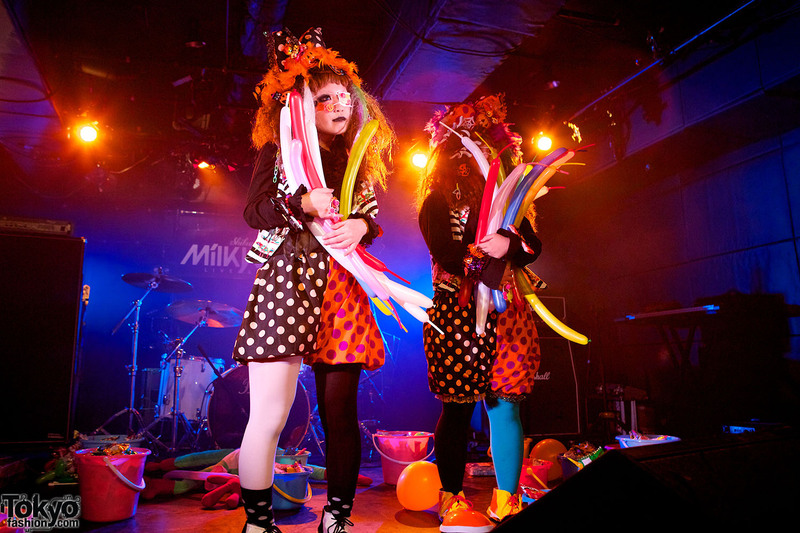 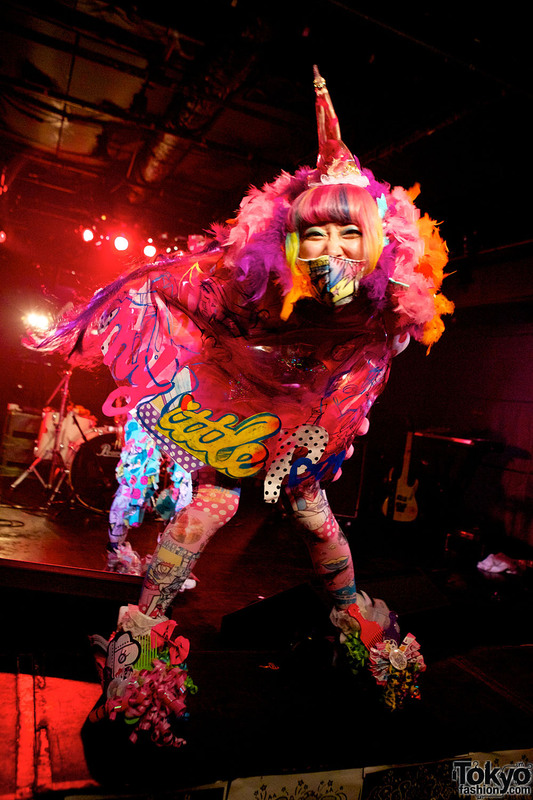 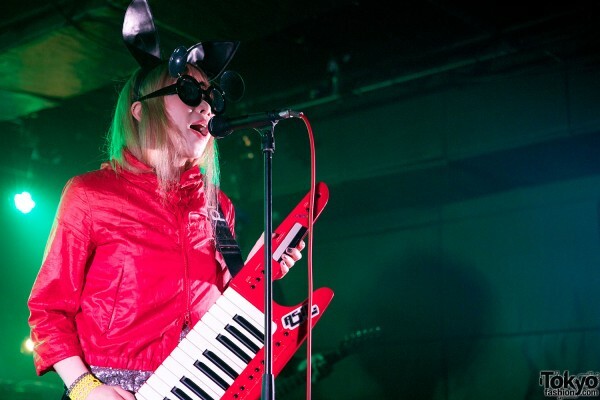 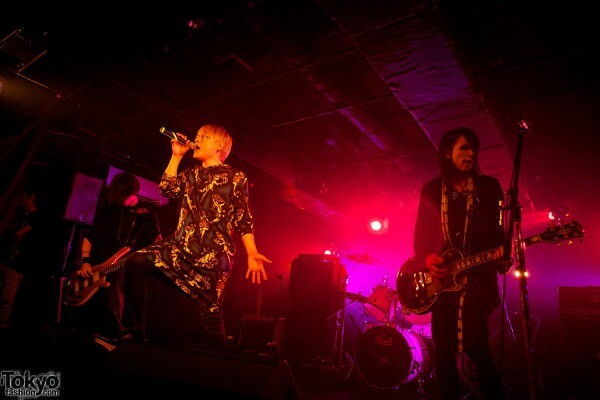 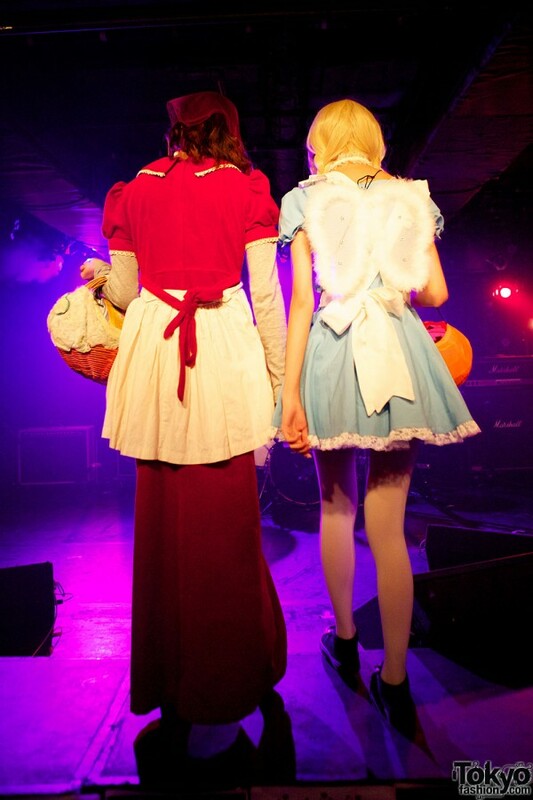 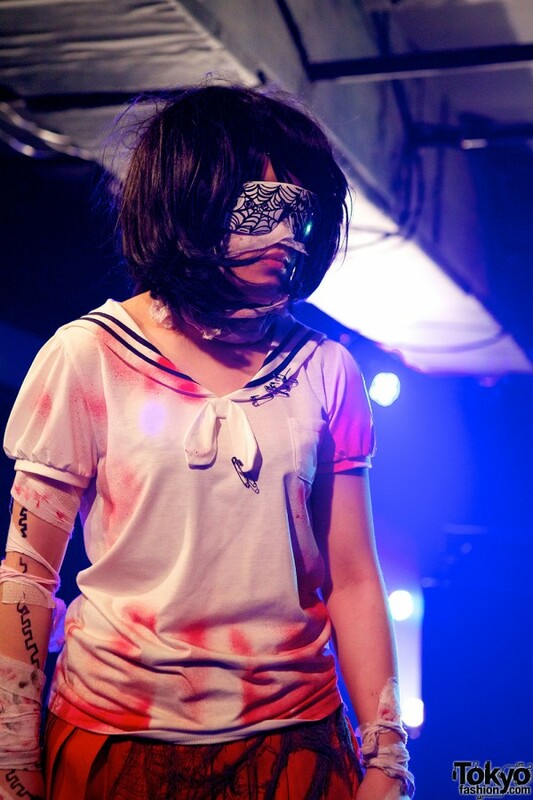 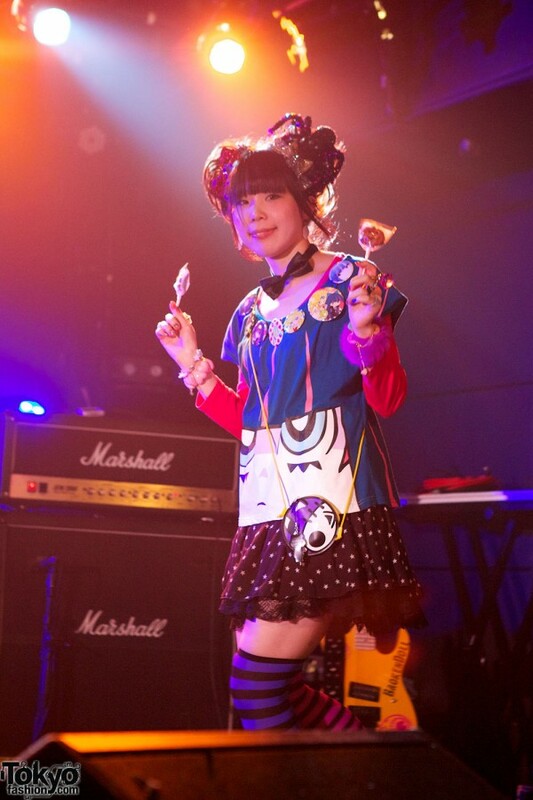 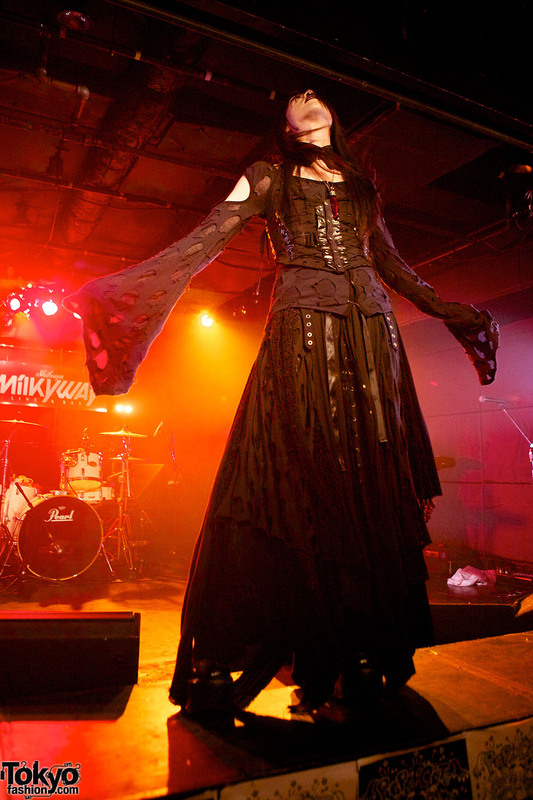 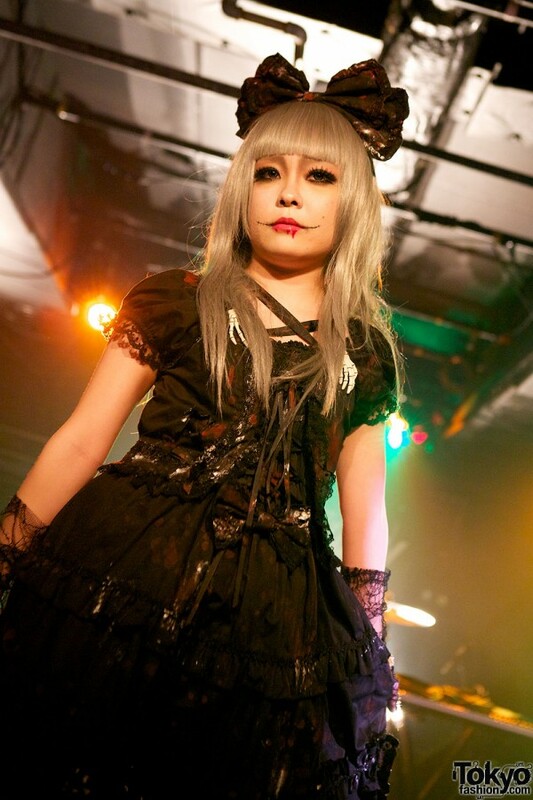 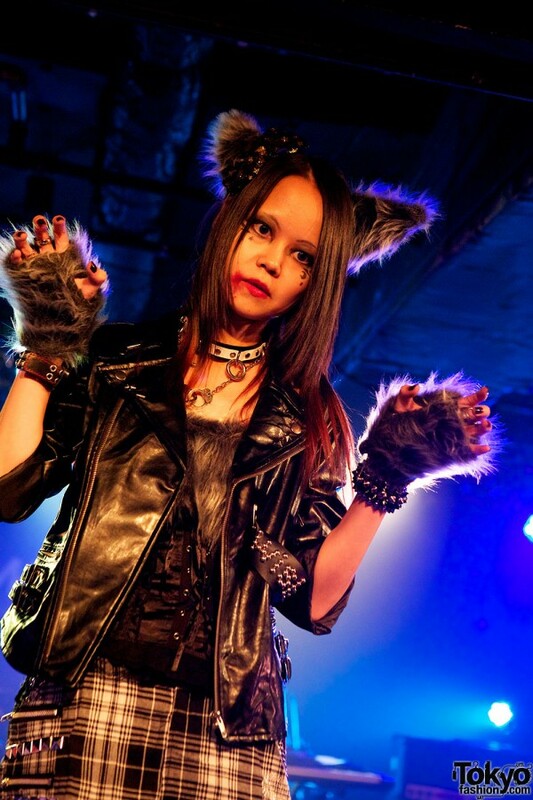 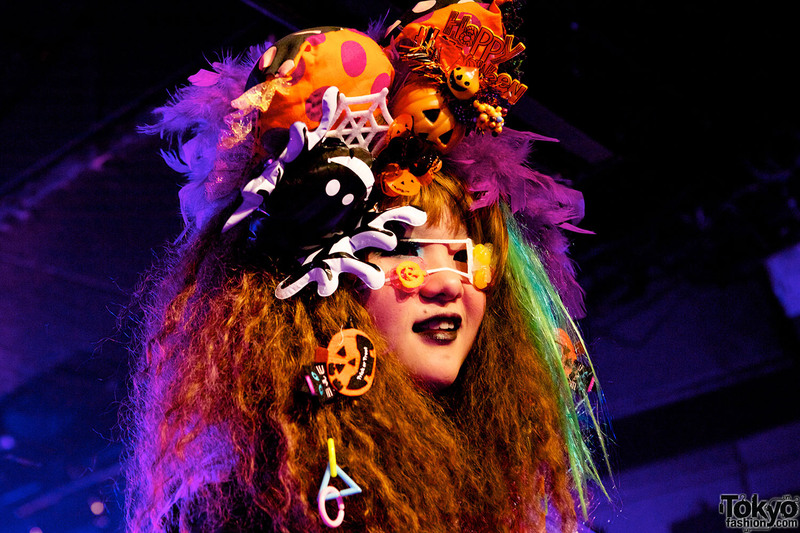 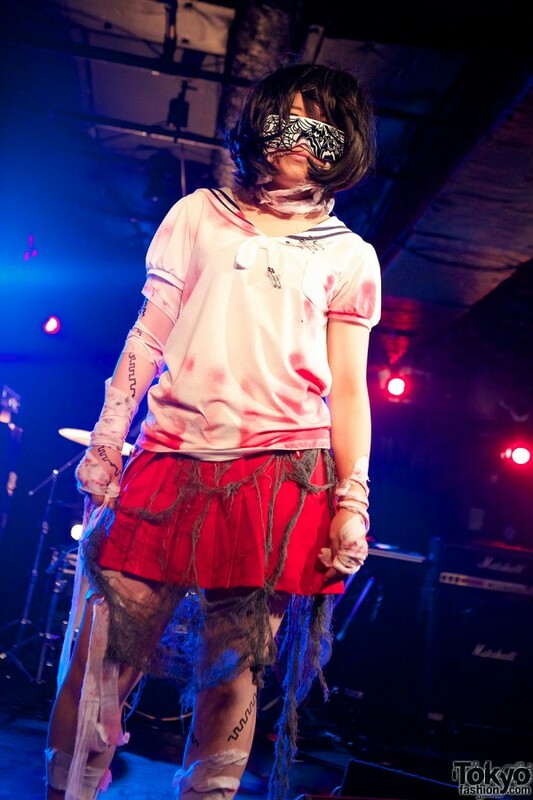 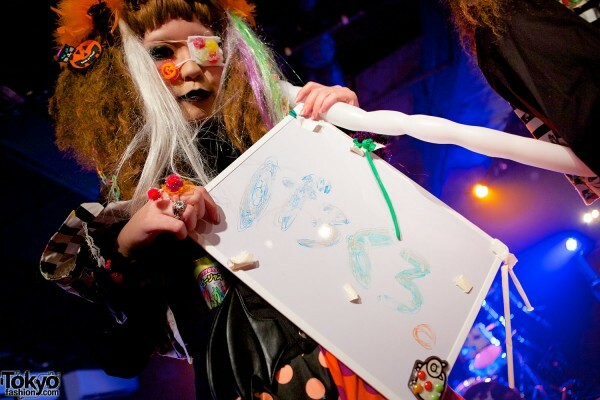 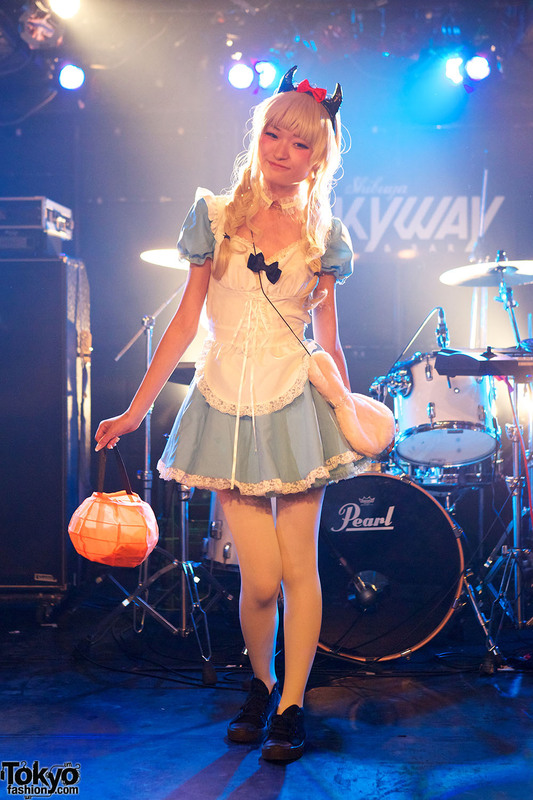 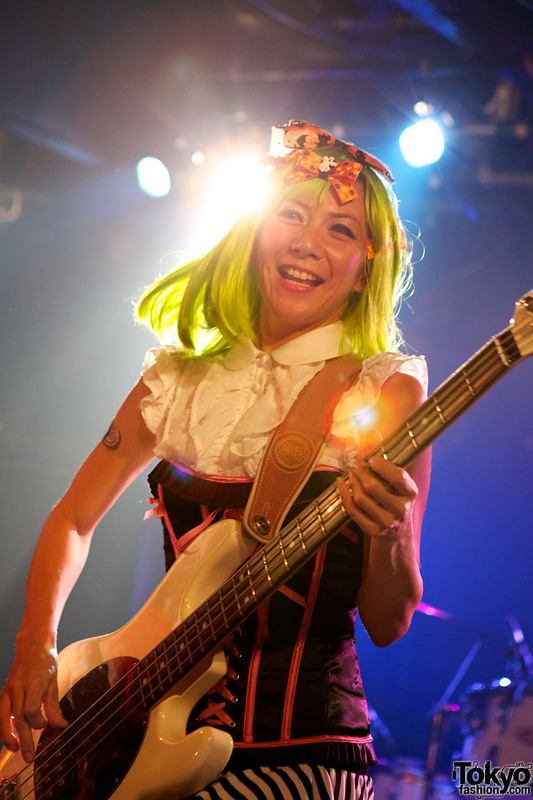 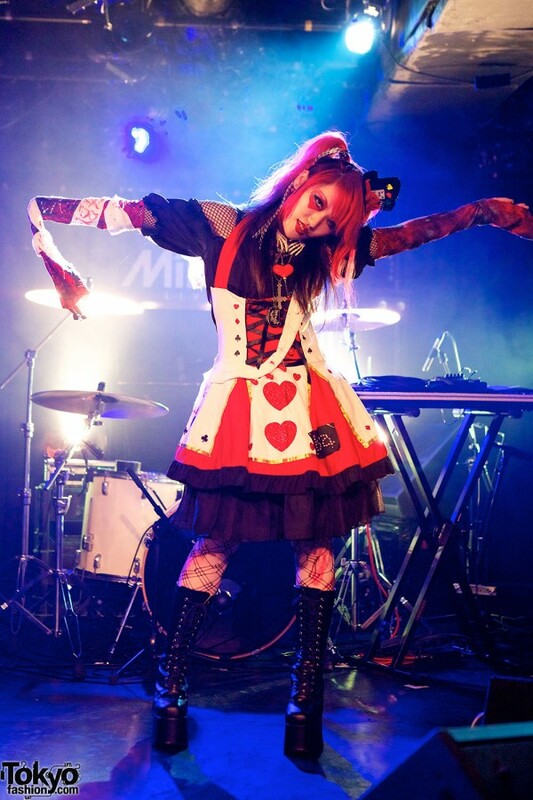 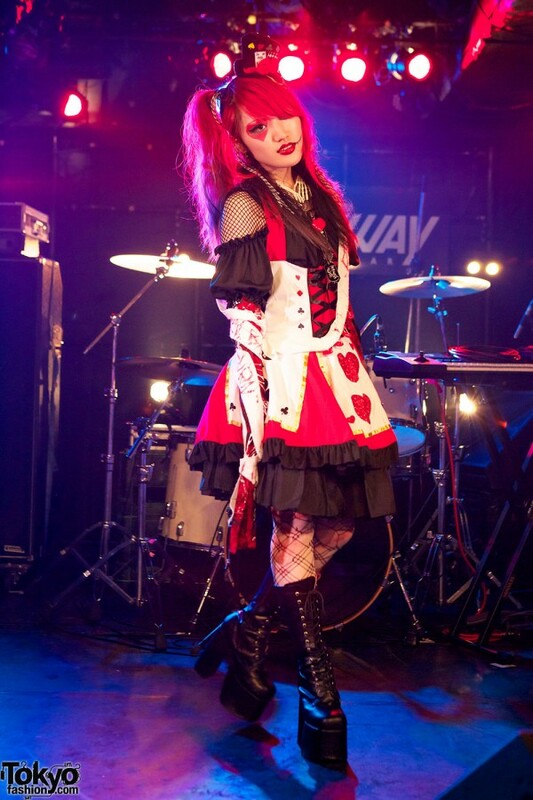 In between the acts, people made new friends and enjoyed an evening of Harajuku Halloween madness together. 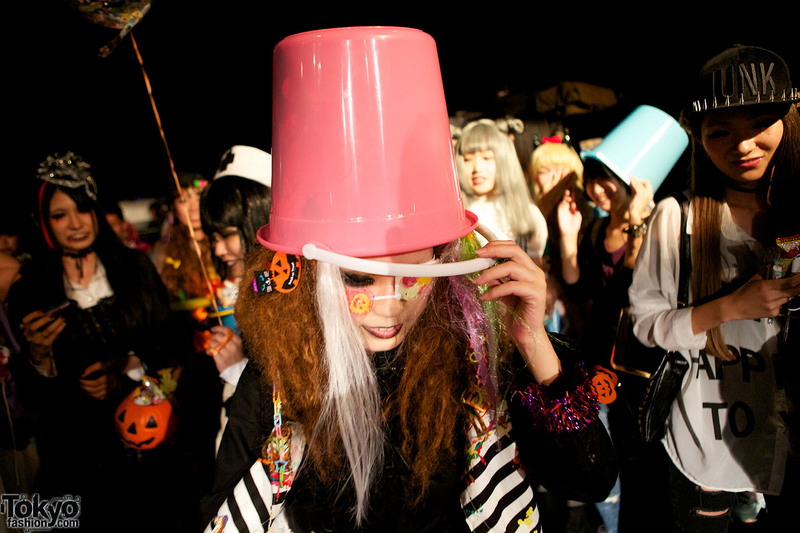 We’ve brought back pictures and video from the Pop N Cute Halloween Party to share with those of you that couldn’t make it. 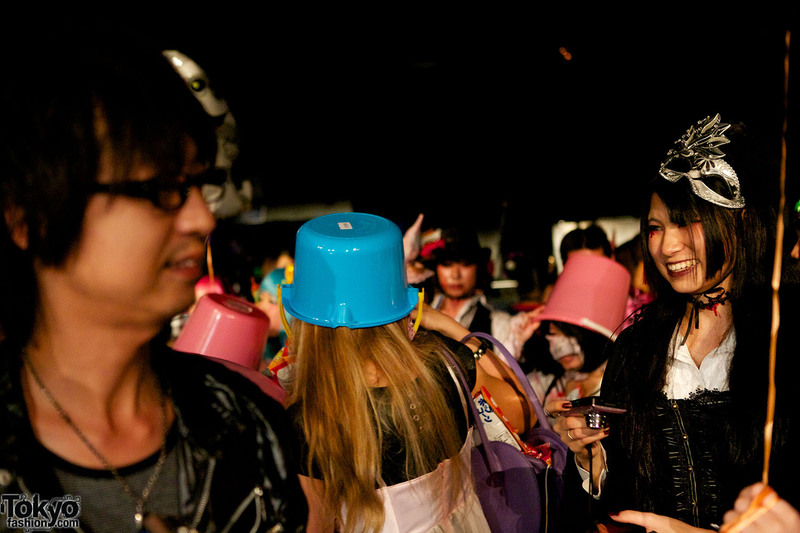 And this is only the first half of our coverage. 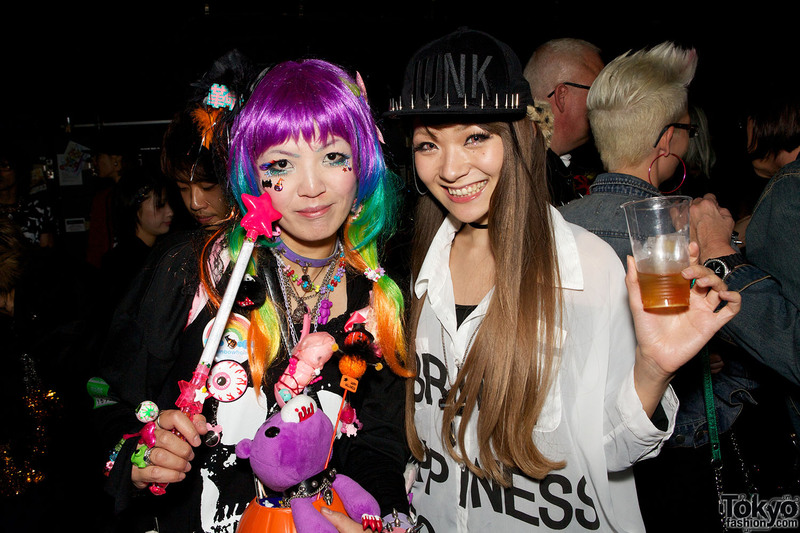 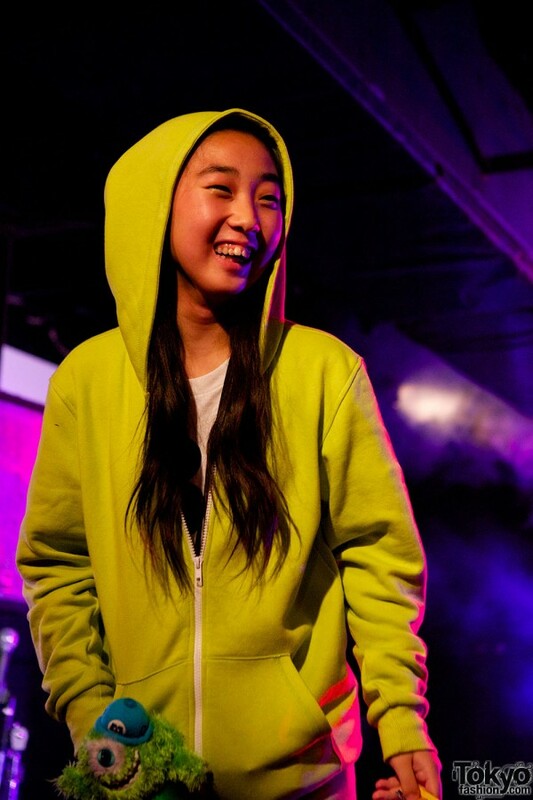 Check out part two as well for snaps of the awesome costumes & fashion attendees were wearing! 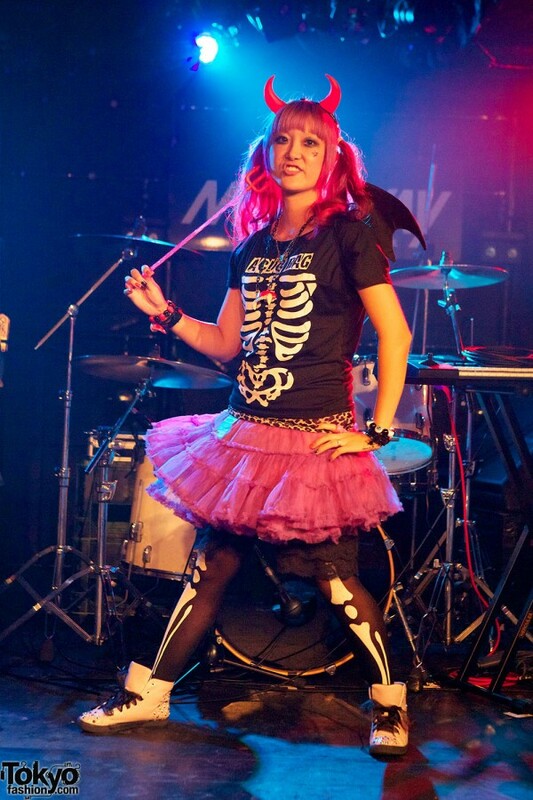 Enjoy the pics & video, and Happy Halloween everyone! 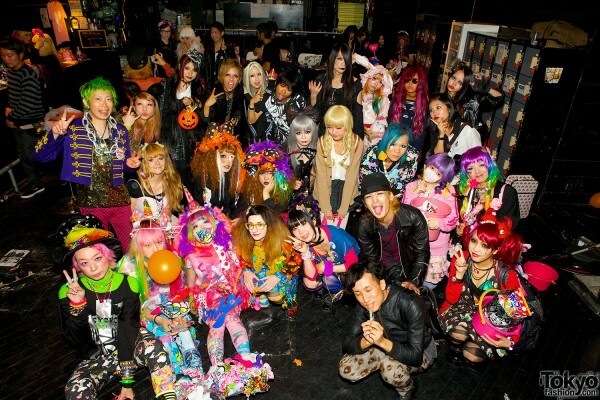 Don’t forget to Follow TokyoFashion.com on YouTube. 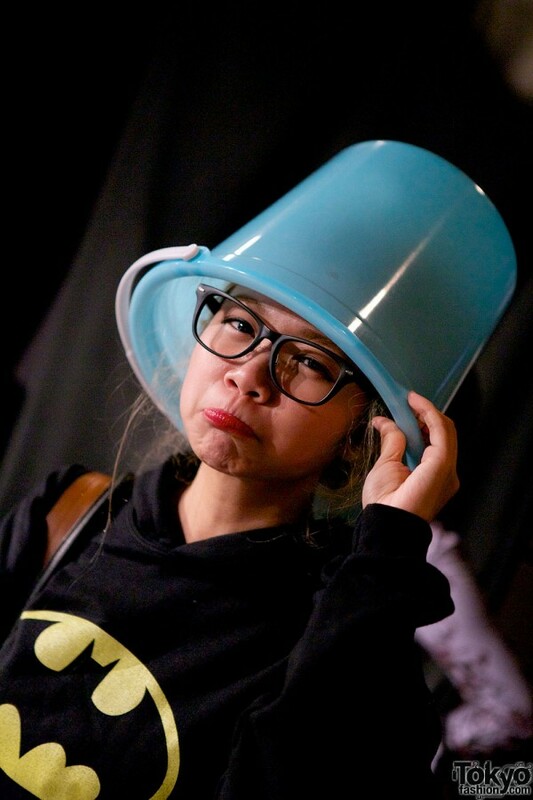 Click on any of the Pop N Cute Halloween party pics to enlarge them! 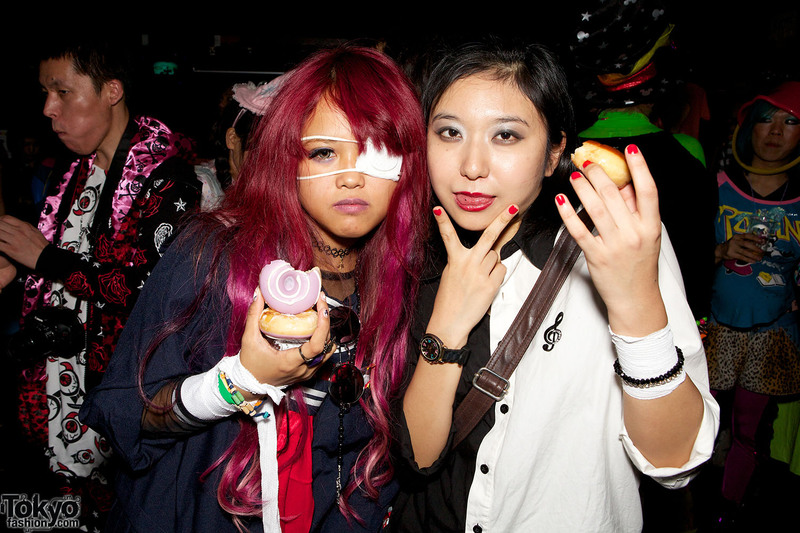 As always, we thank all of the super-friendly people at the party who made the night so fun – and who allowed us to photograph and video them. 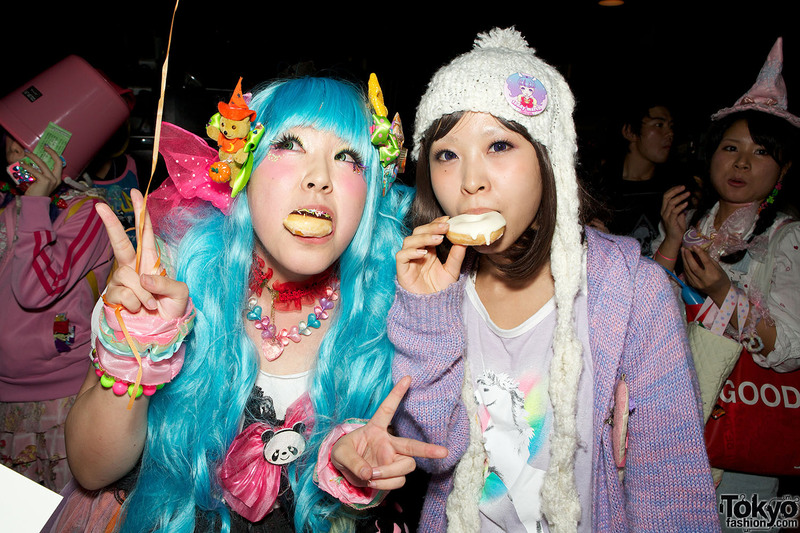 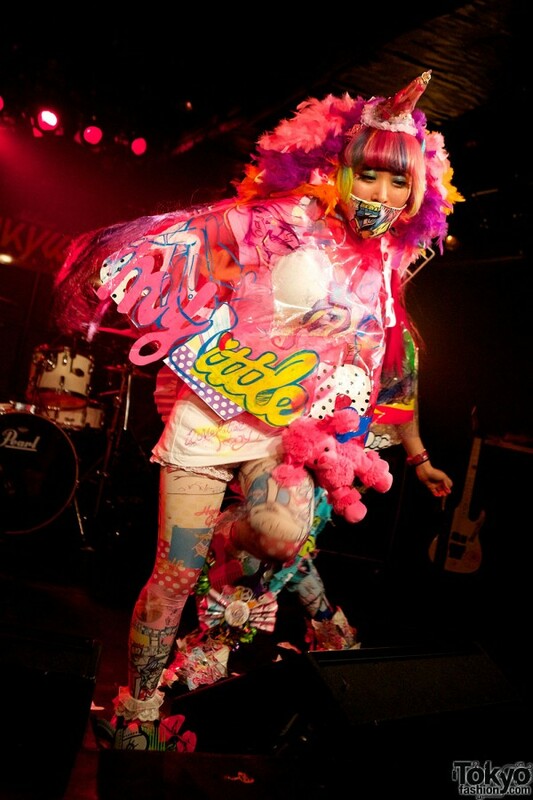 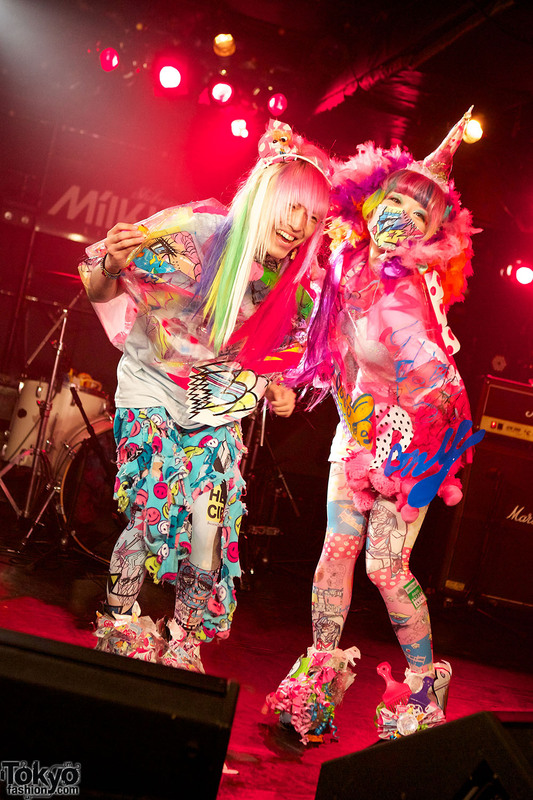 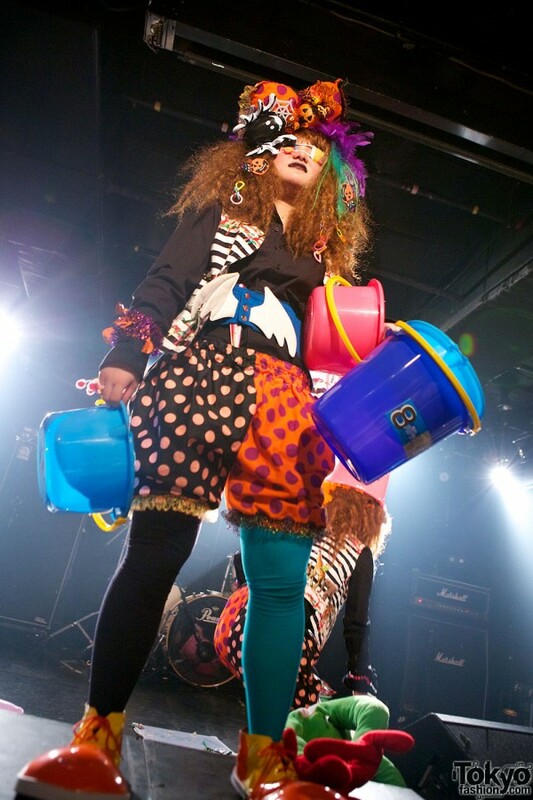 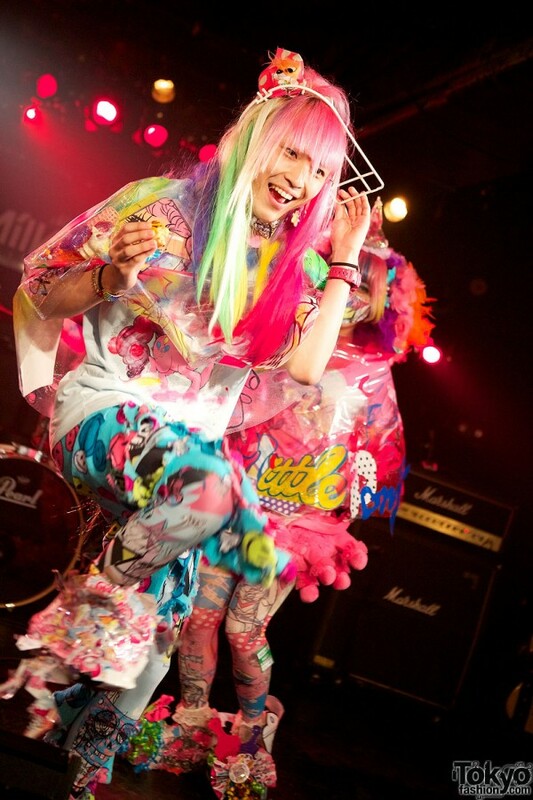 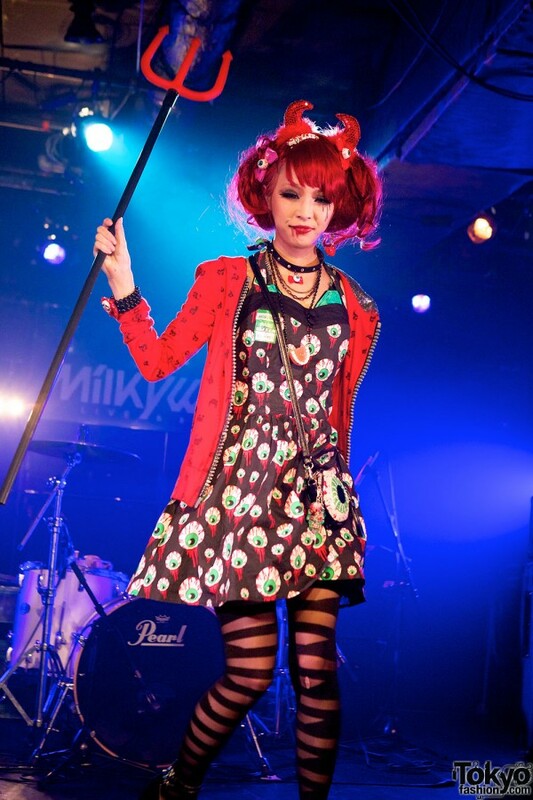 We hope that all of you will have a chance to attend one of the upcoming Pop N Cute Harajuku-themed parties soon! 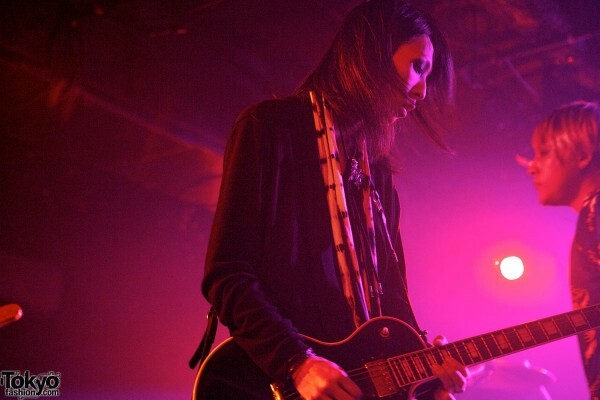 Photos by Kira. 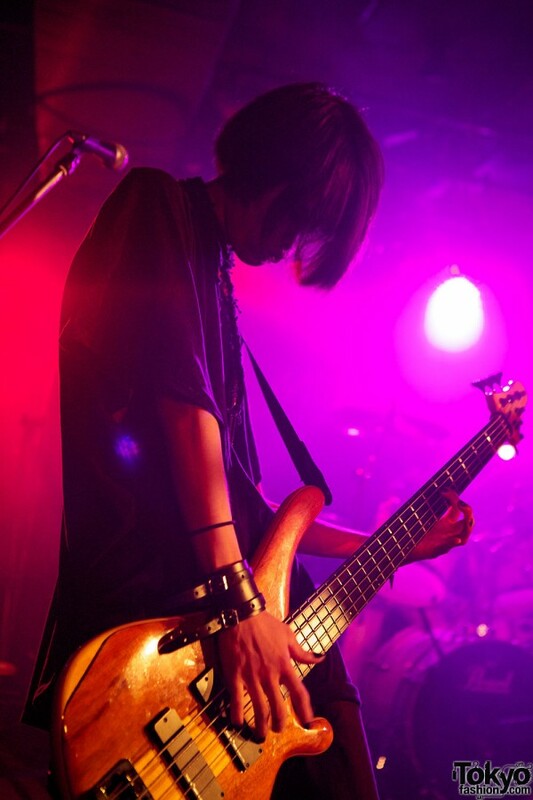 Video by Kaila. 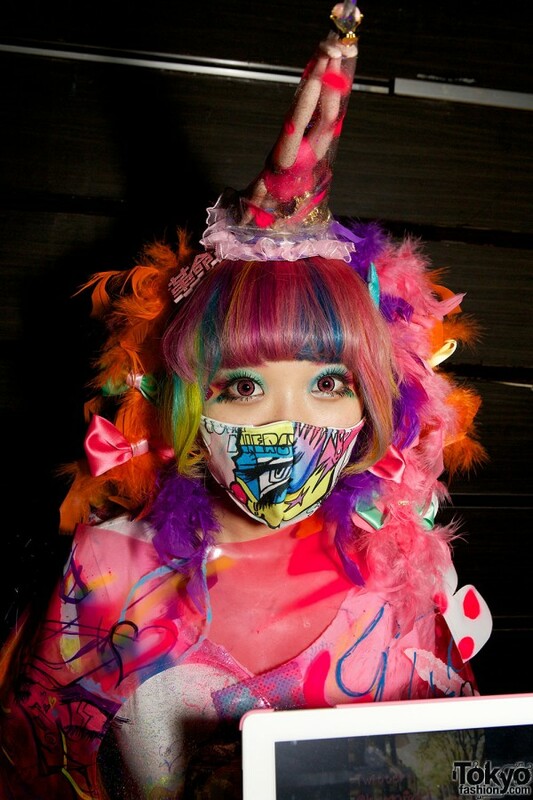 Born in Japan, educated in Japan and the US, Kira shoots exclusively with Canon DSLRs. 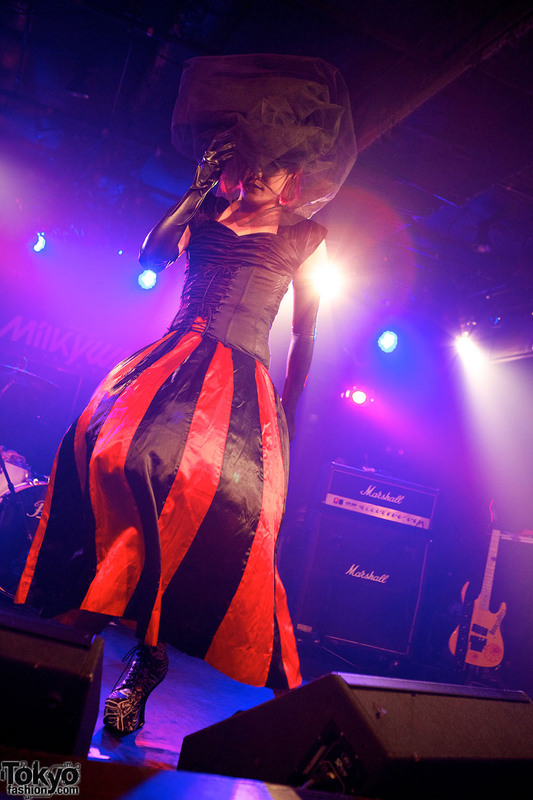 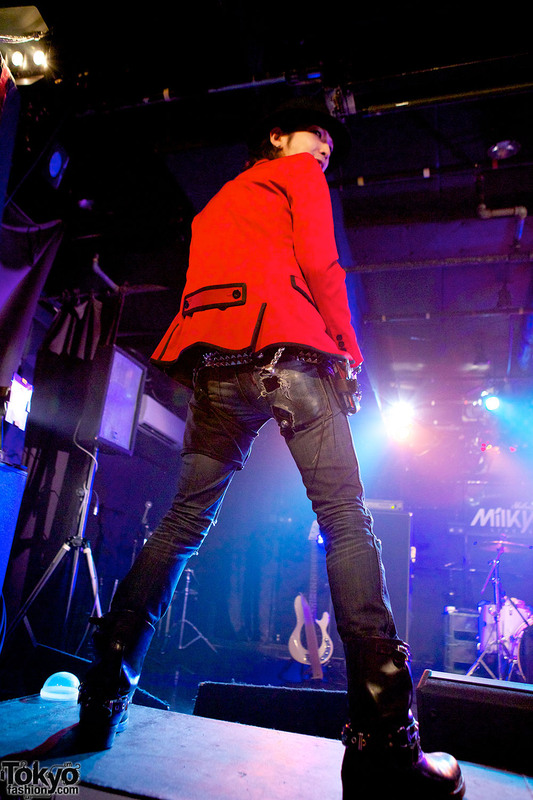 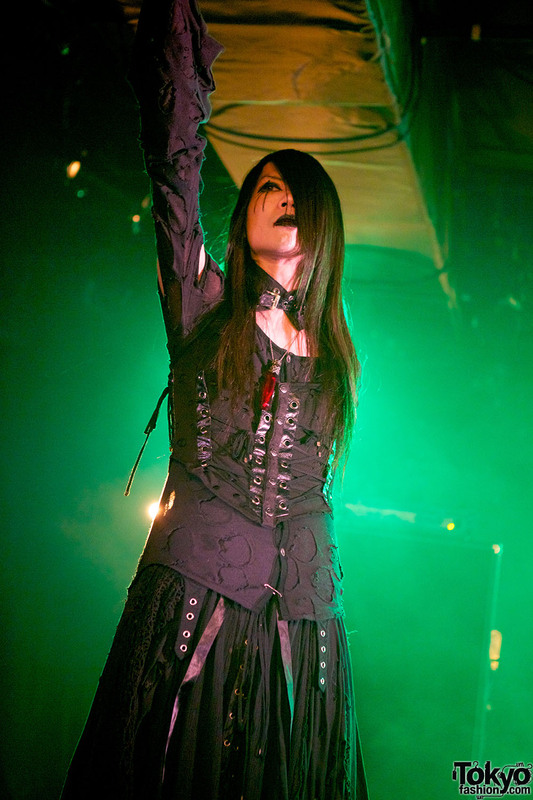 Photography assignments include fashion, bands, sporting events, and portraiture for various companies and bands throughout Japan & the world. 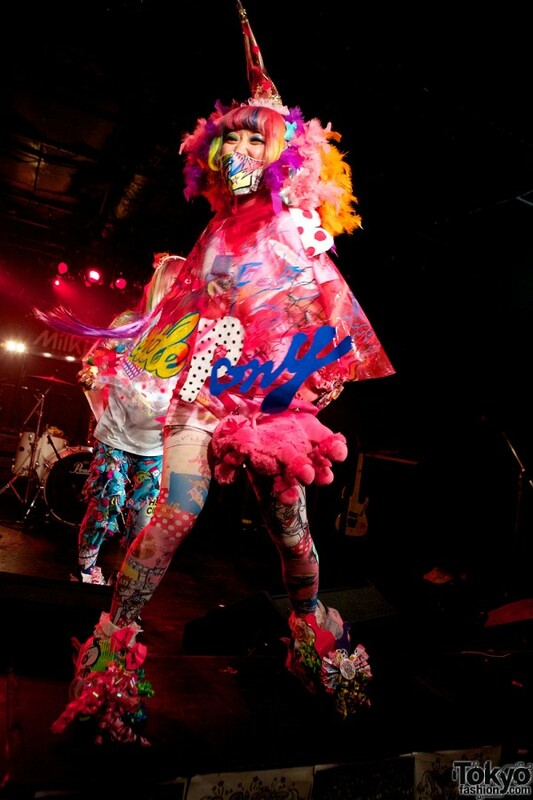 His portfolio can be viewed at Artist-Photo. 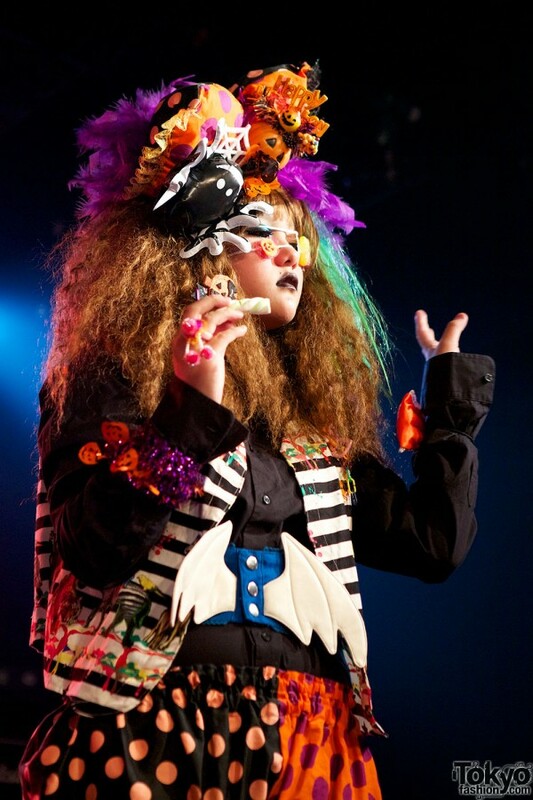 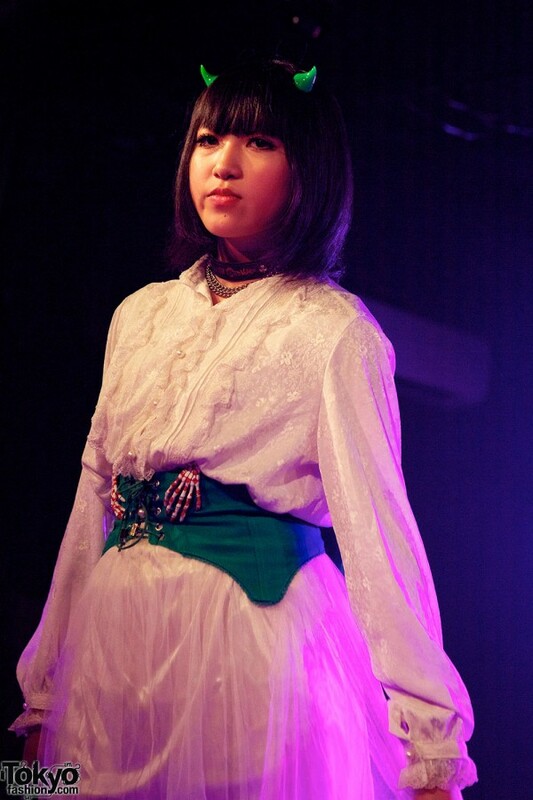 Kaila is a graduate of Bunka Fashion College’s sister school — Bunka Institute of Language. 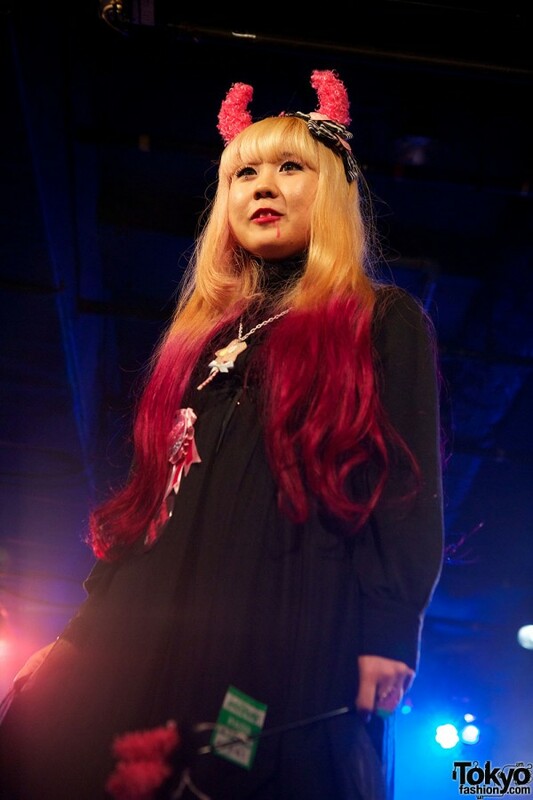 She loves taking photographs, getting lost in her own world and discovering new places with her fisheye, making accessories out of boredom and blogging whatever goes in her Japan life. Maybe its just my mood but I didn’t love the most of the costumes, except for that amazing cute red-hair with the eyeballs dress and the girl with the silver hair and striped stokings…I expeted more from a culture full of ghost stories and the weirdest monsters ever imagined…but as always great shoots Tokio Fashion youre the best!!!! 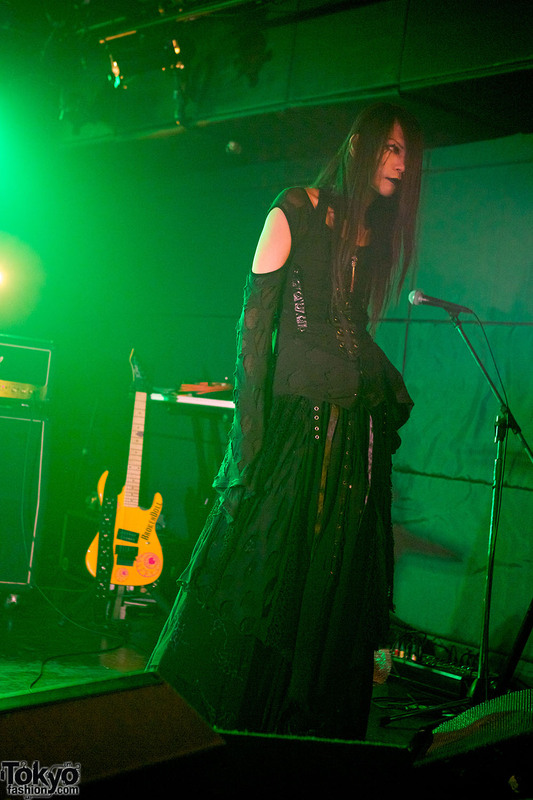 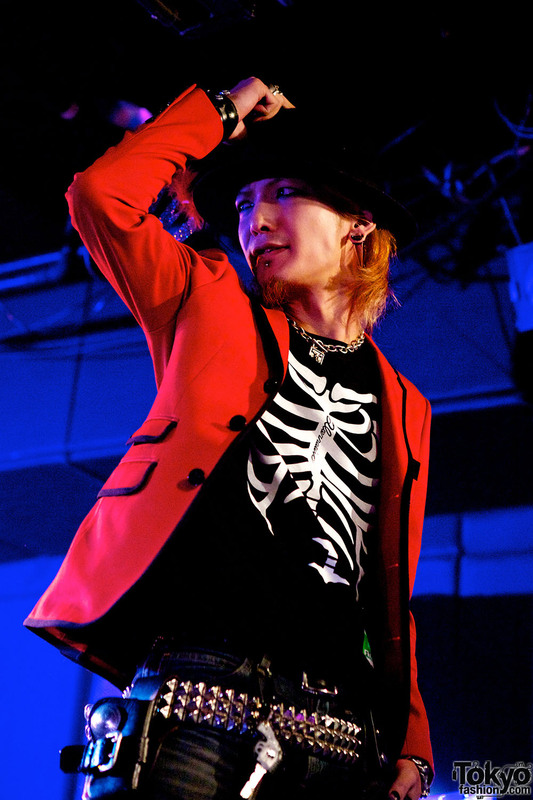 This is my first time, i have seen a man wear a corset. 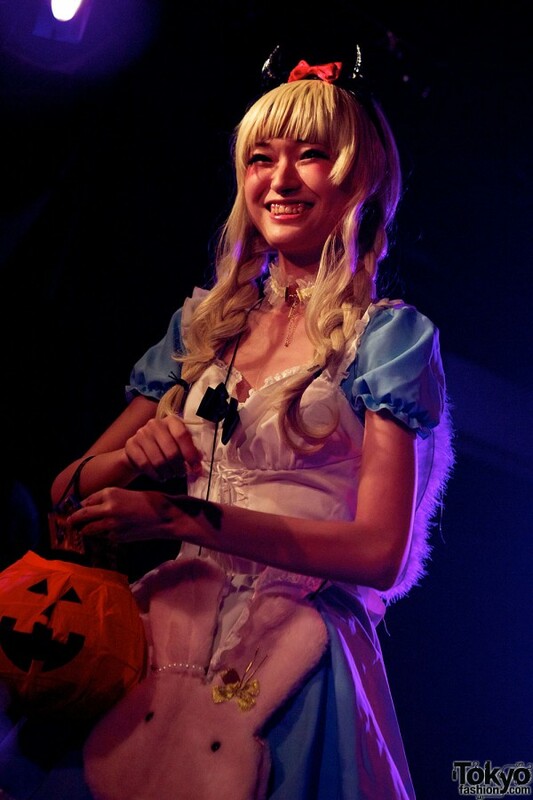 Like a man corset. I encourage his bravity.